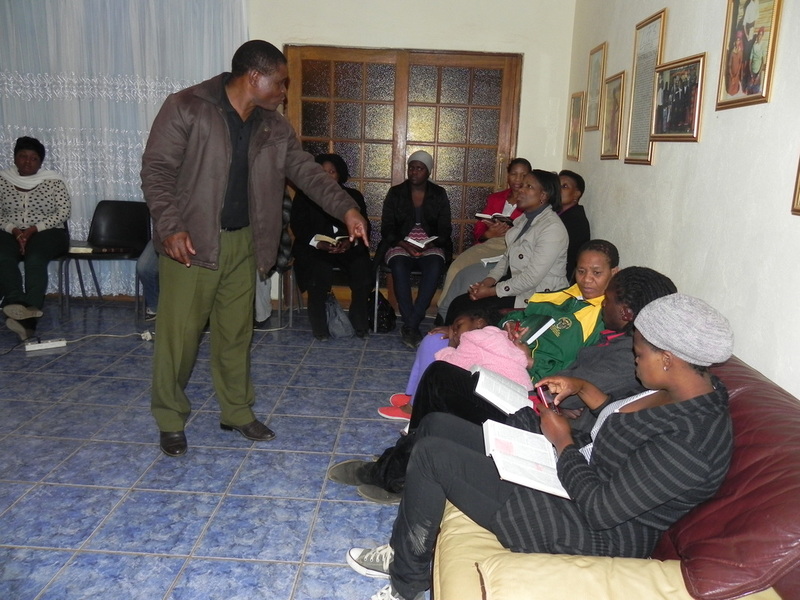 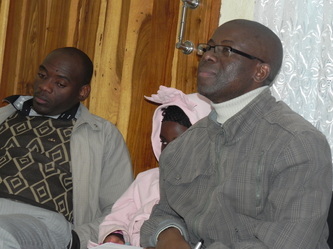 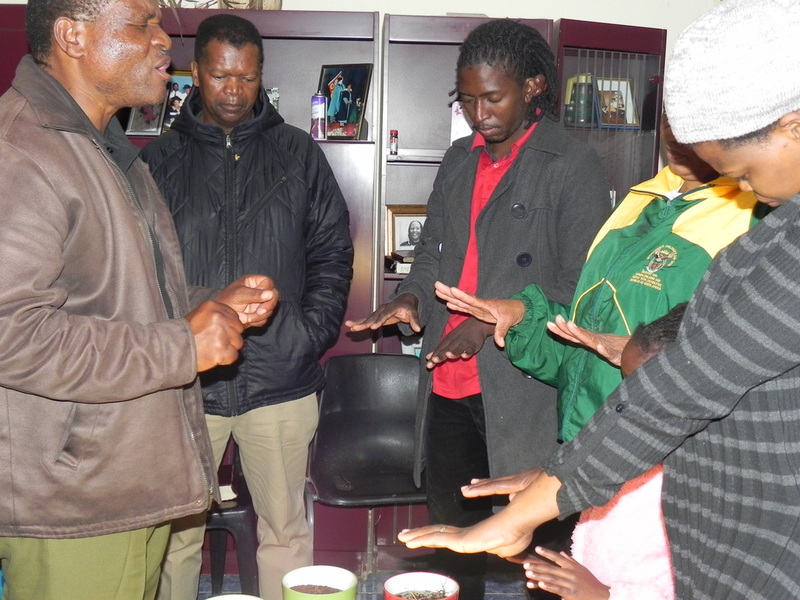 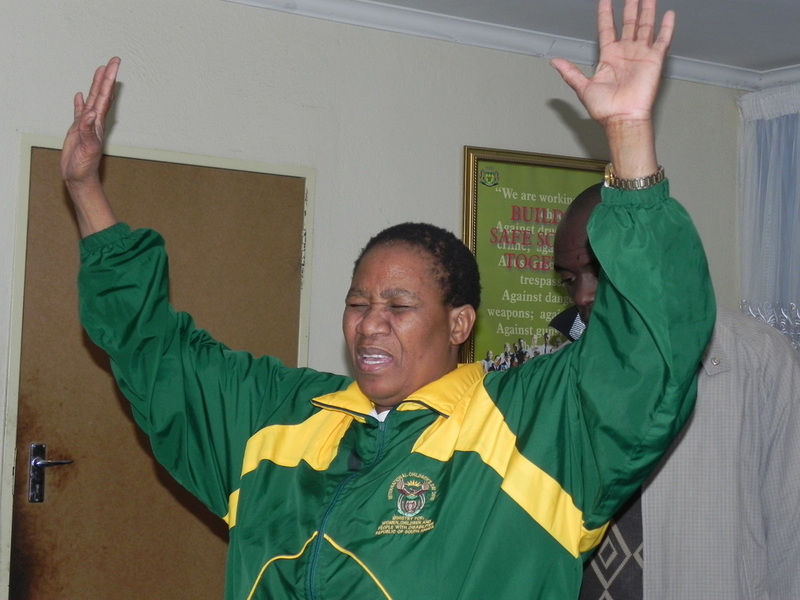 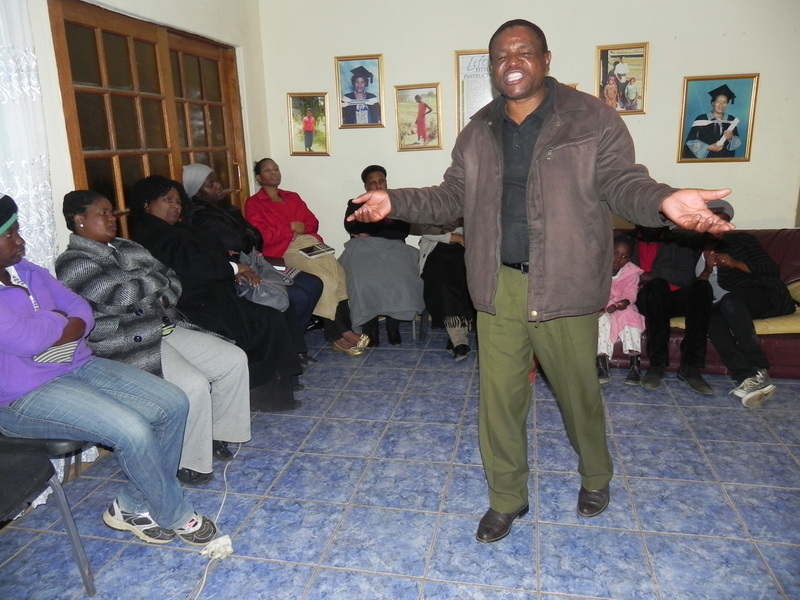 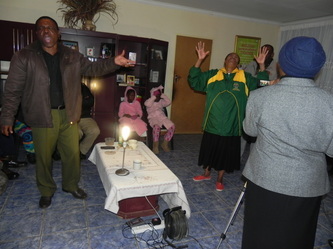 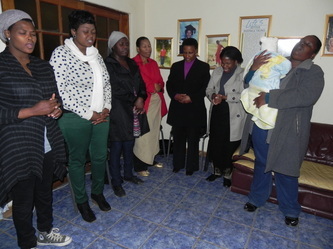 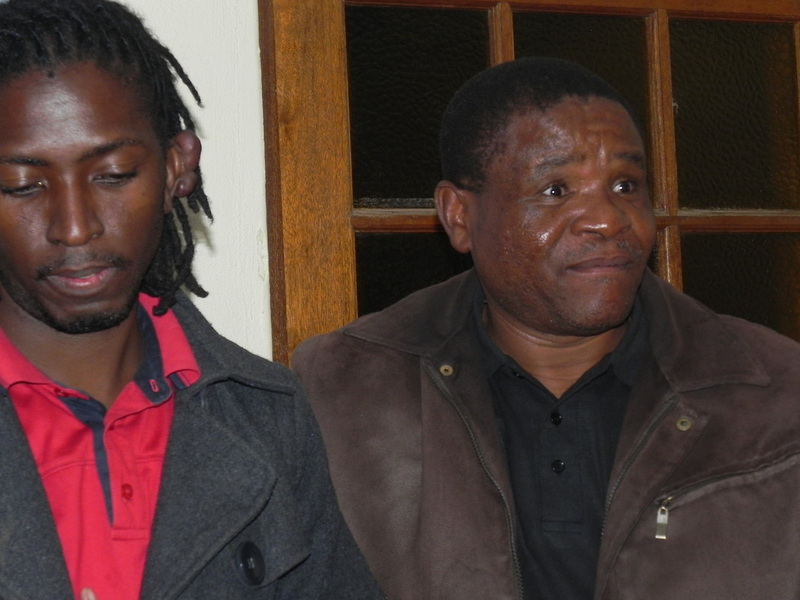 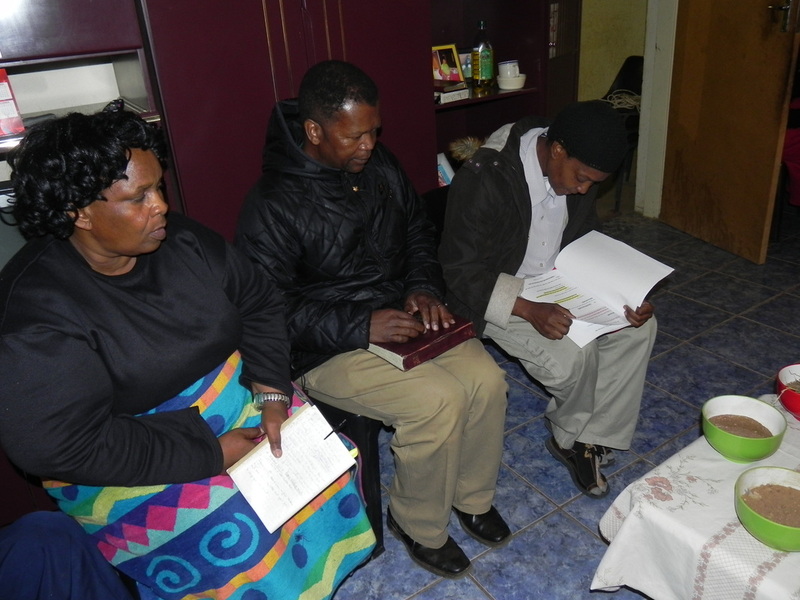 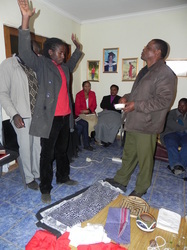 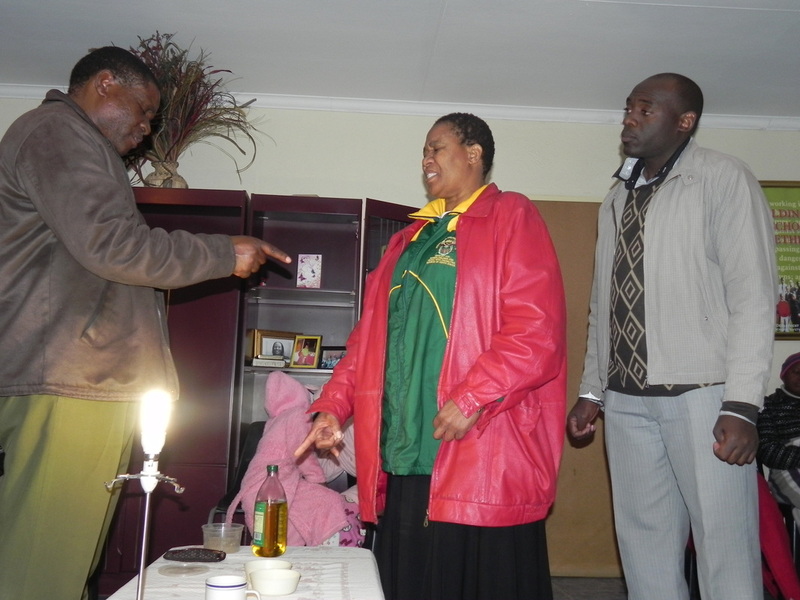 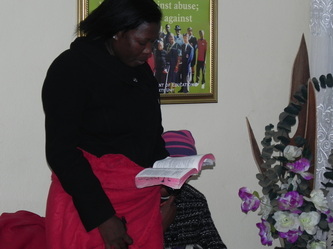 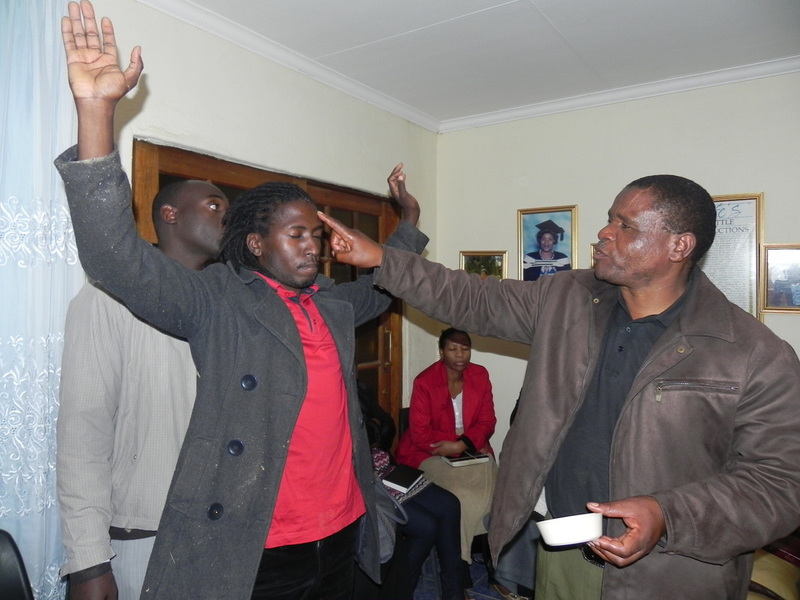 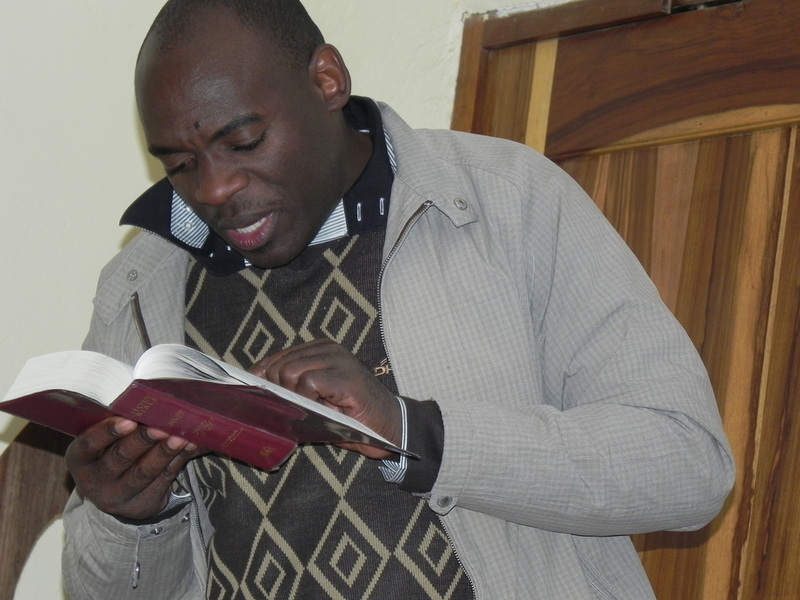 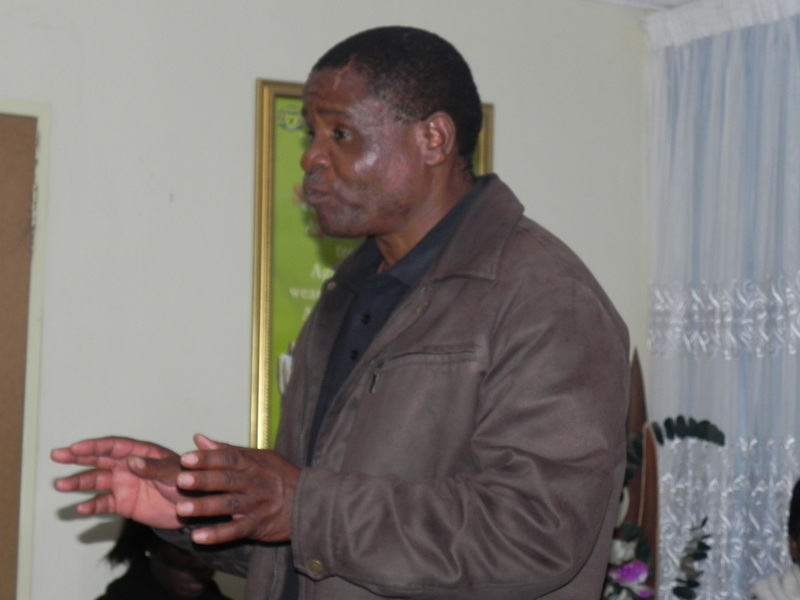 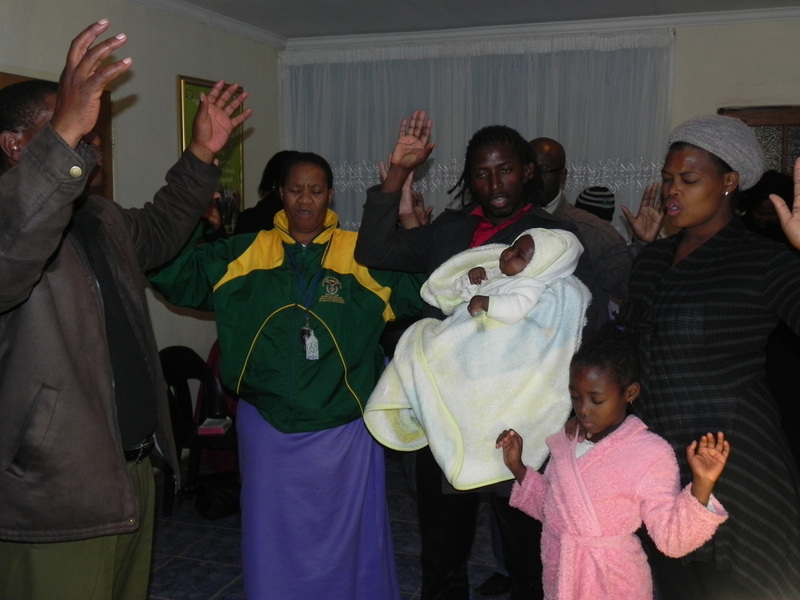 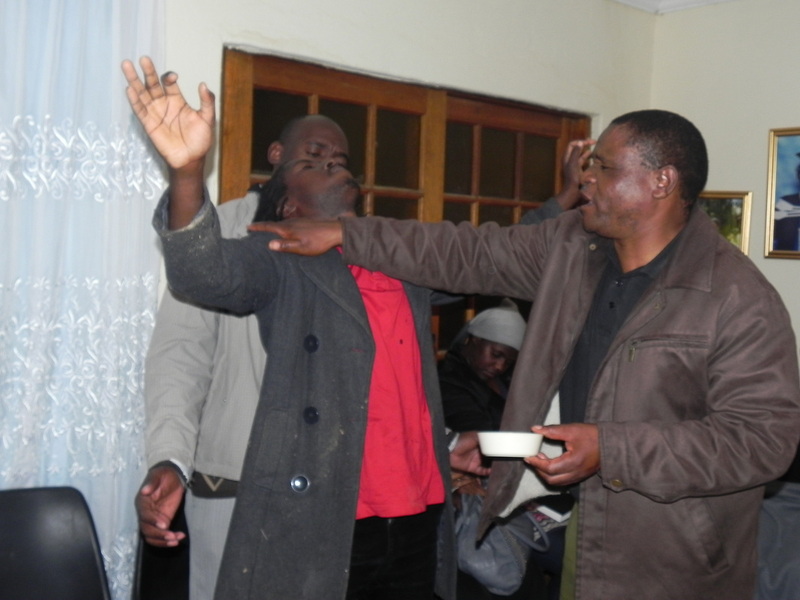 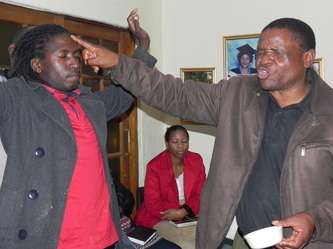 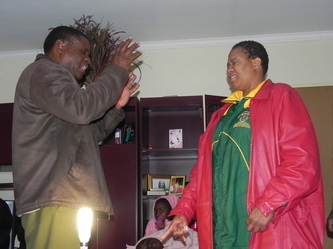 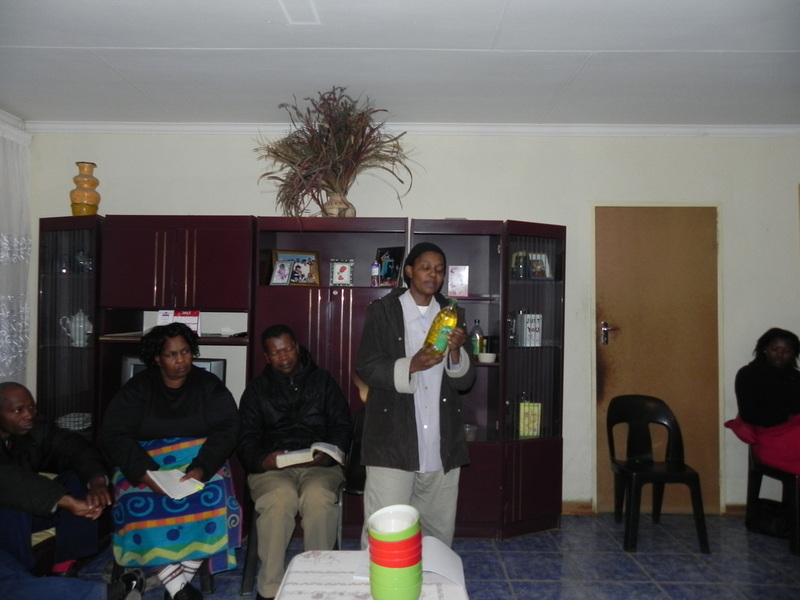 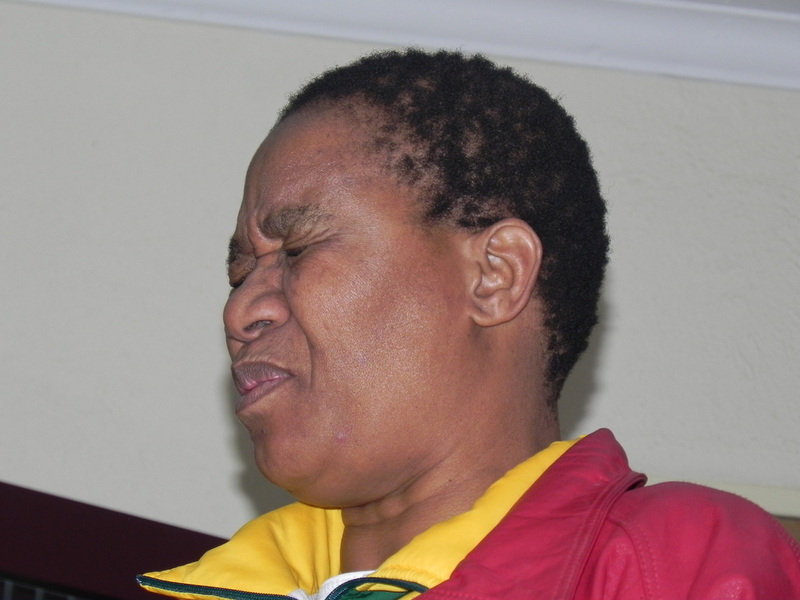 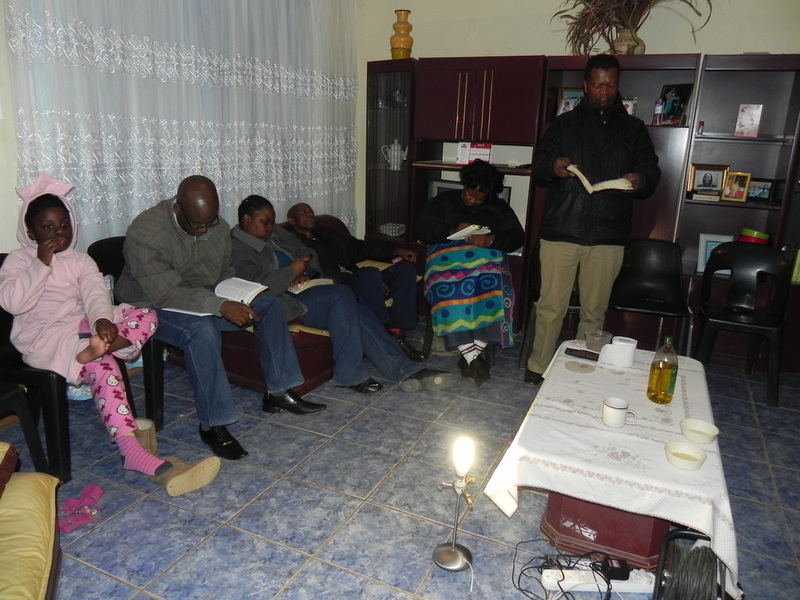 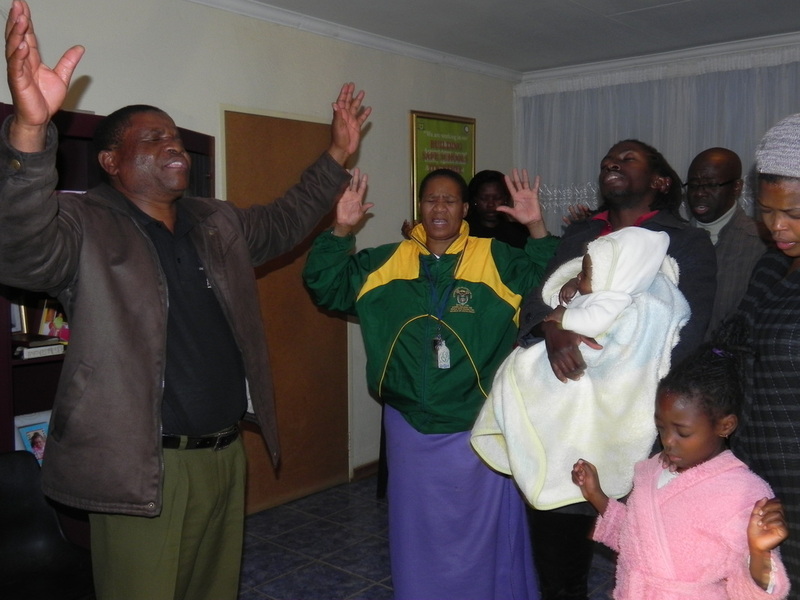 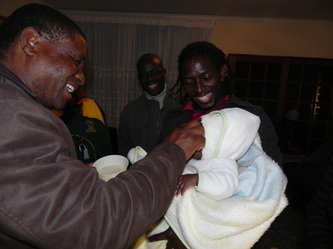 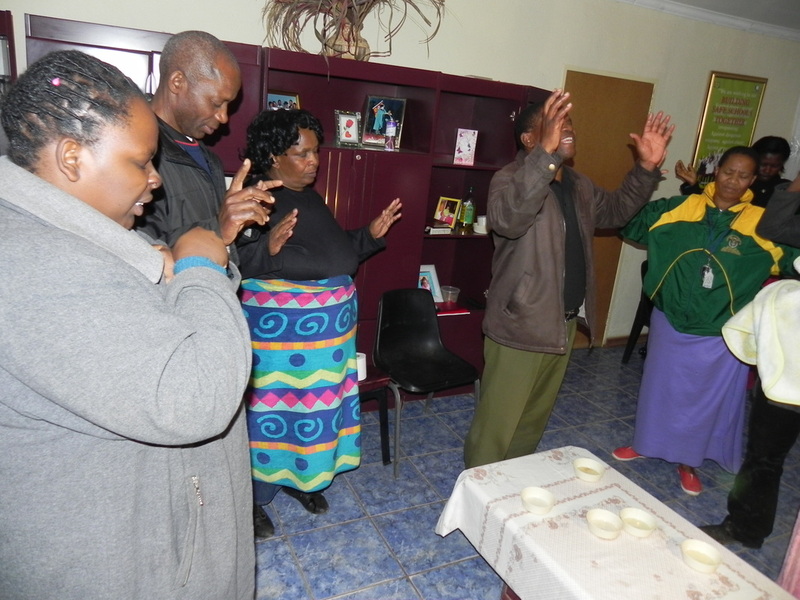 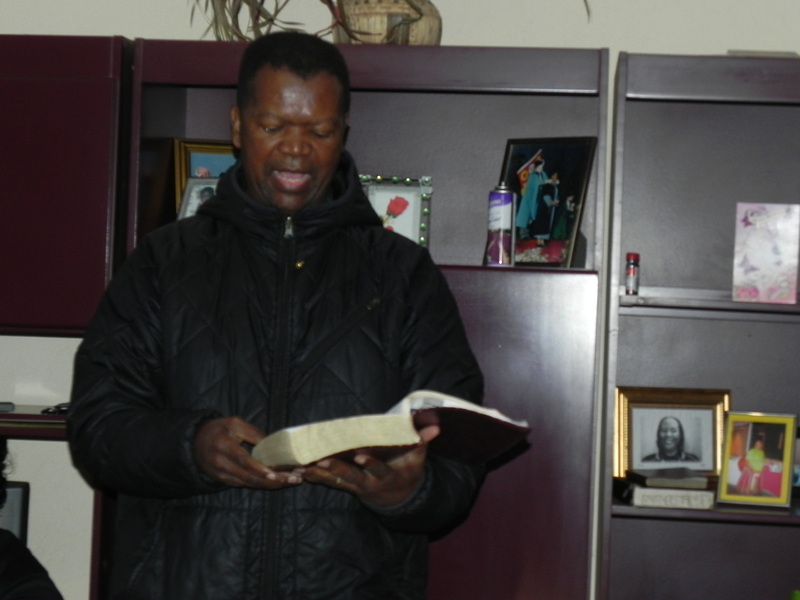 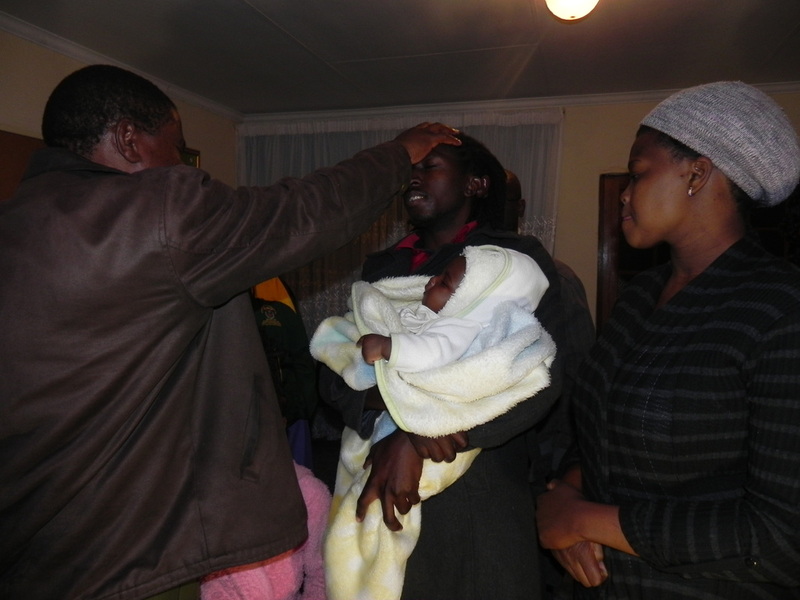 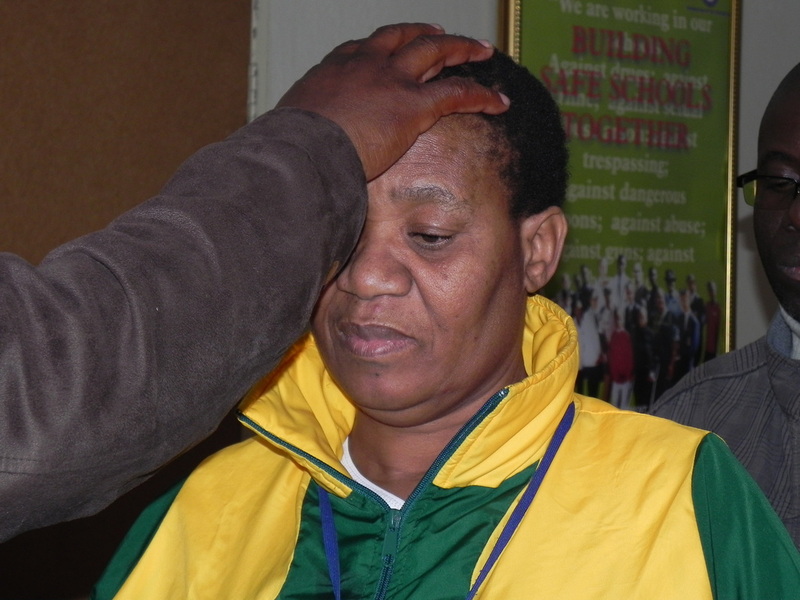 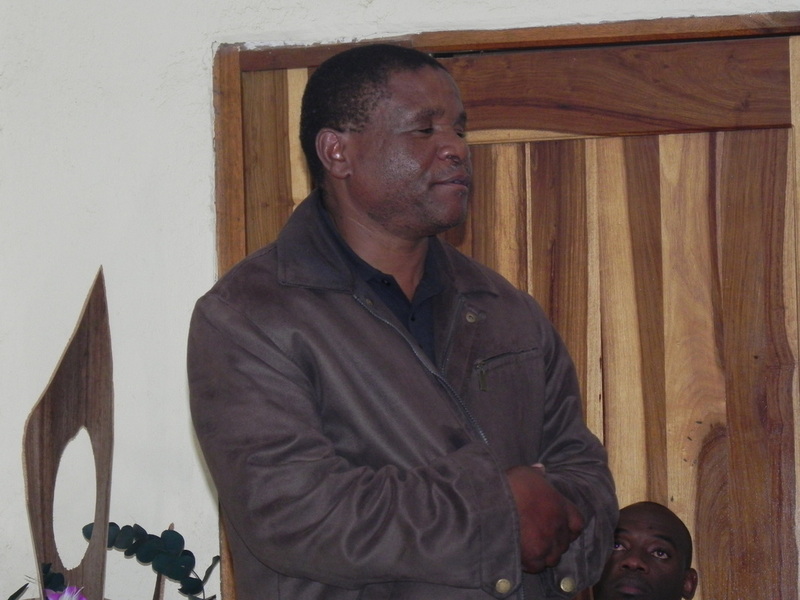 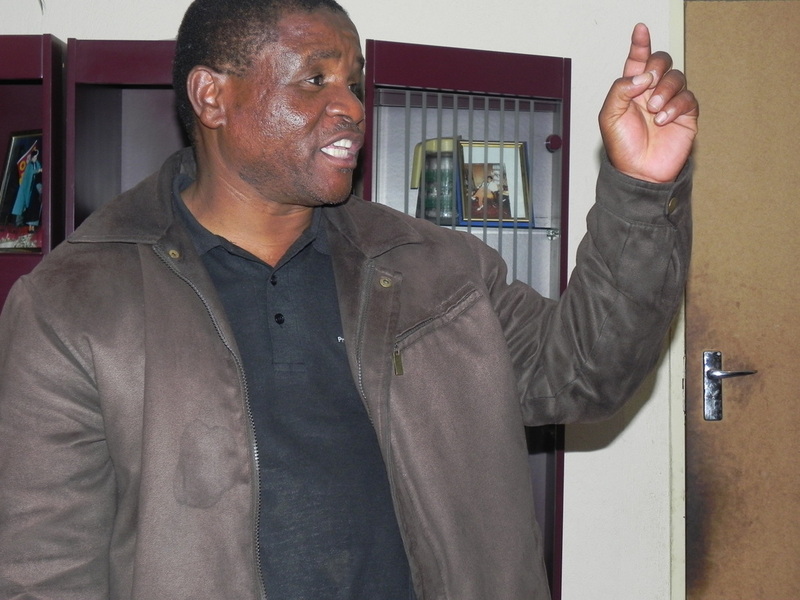 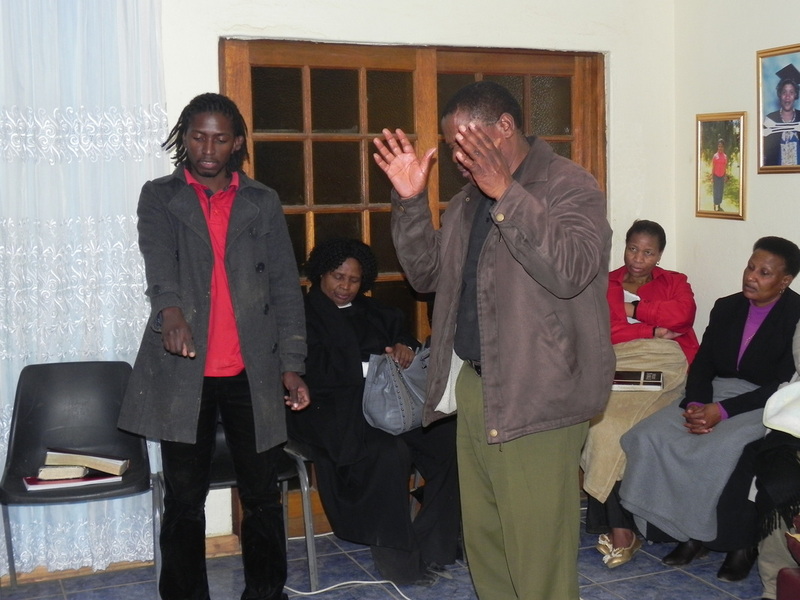 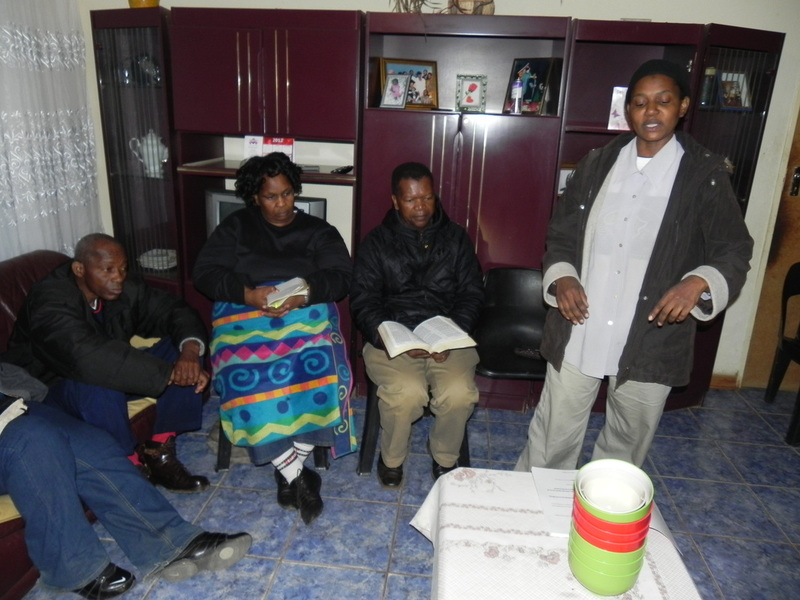 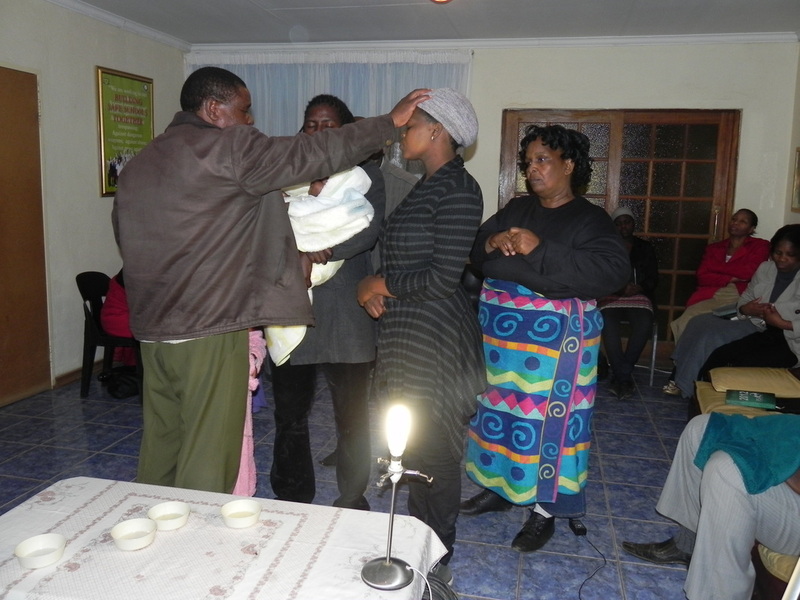 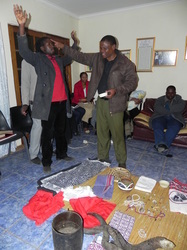 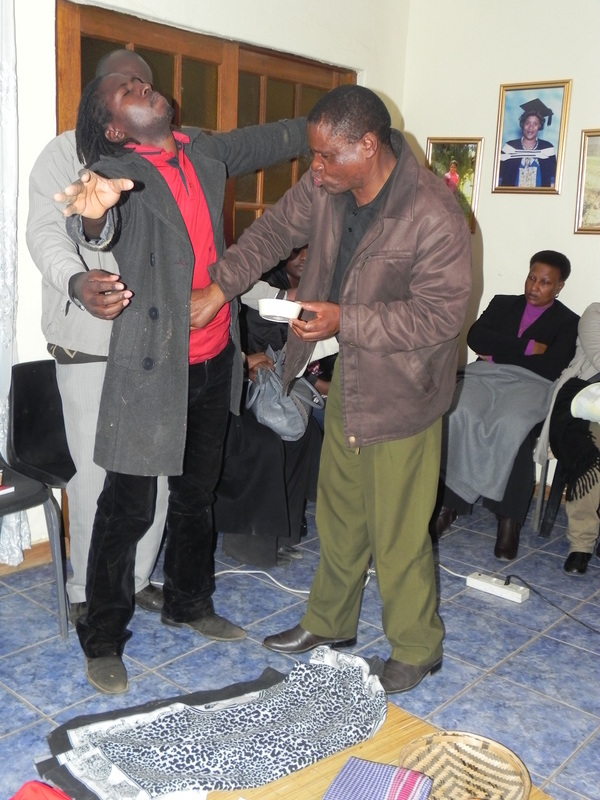 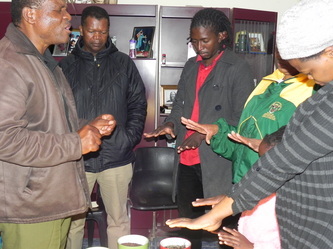 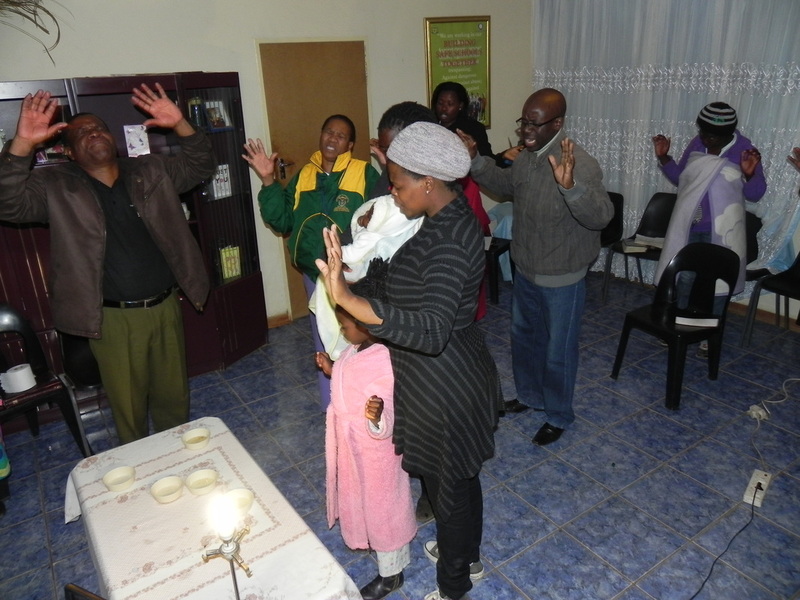 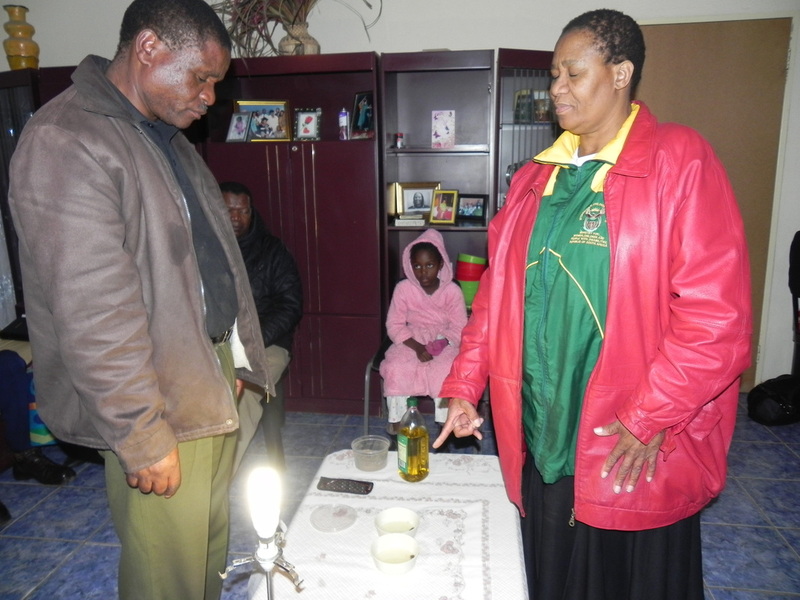 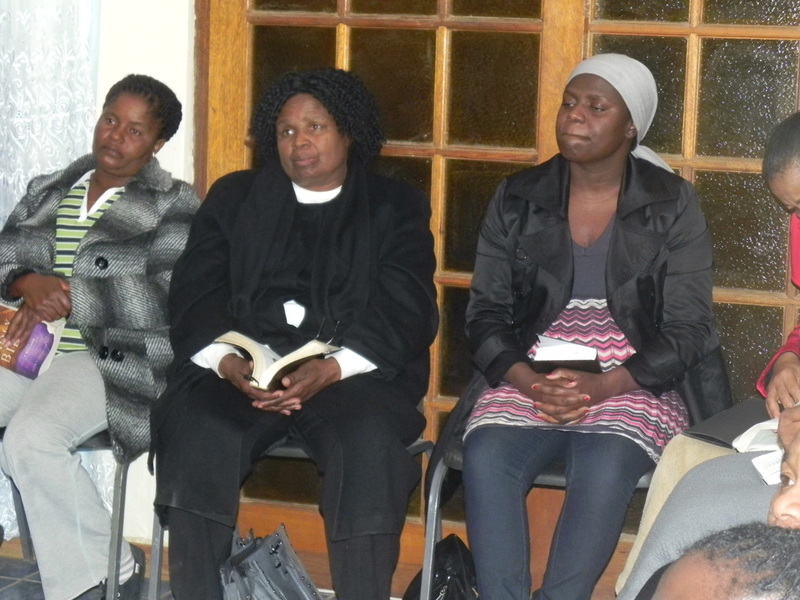 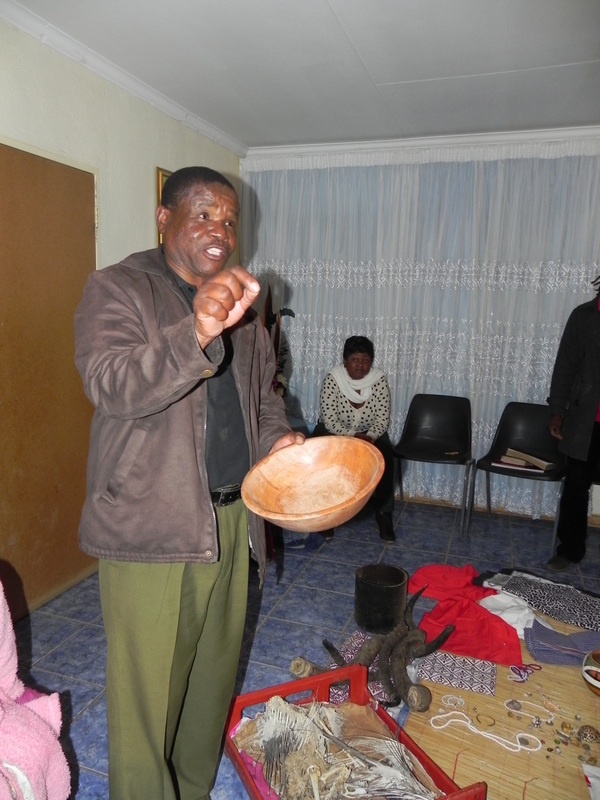 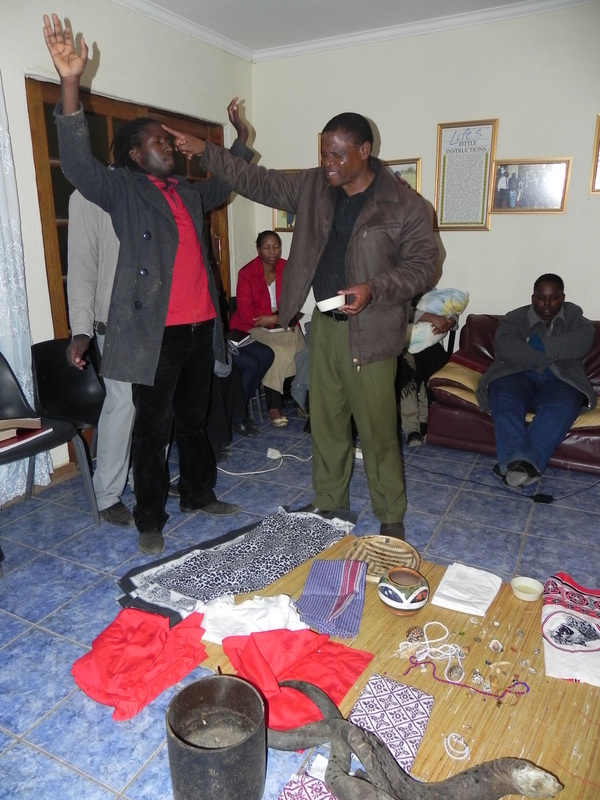 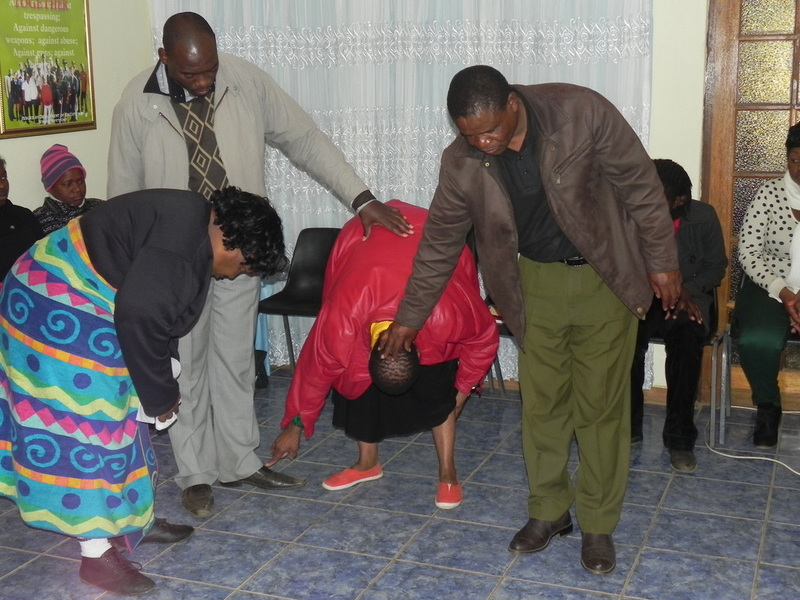 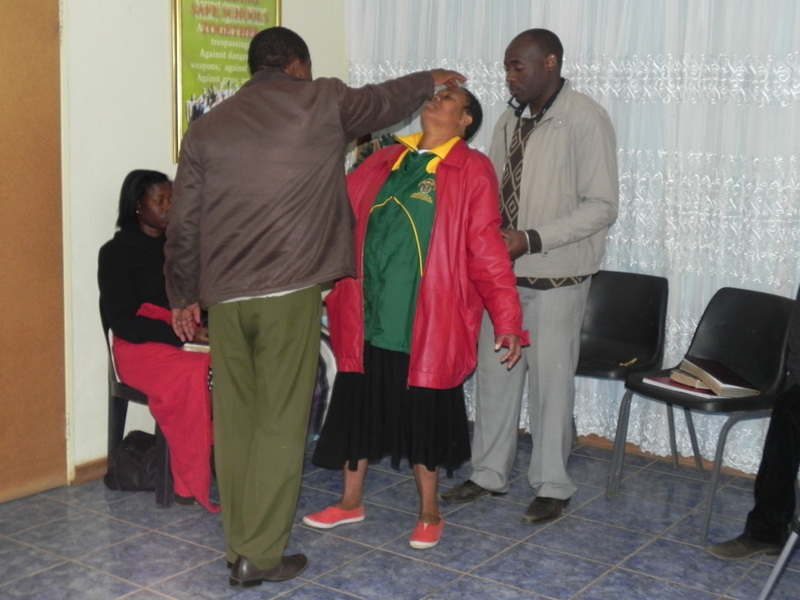 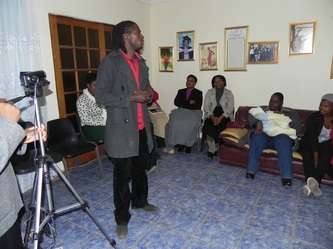 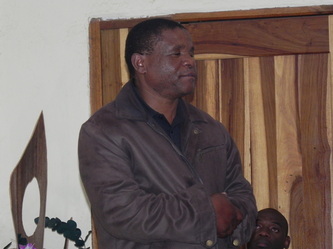 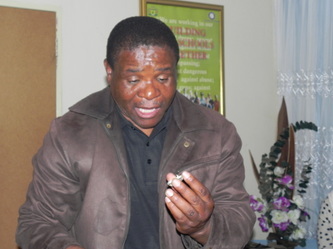 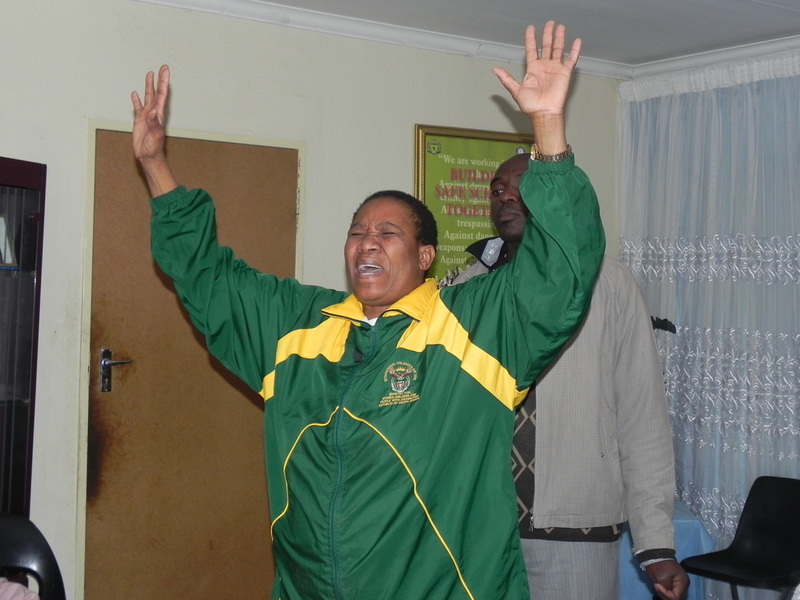 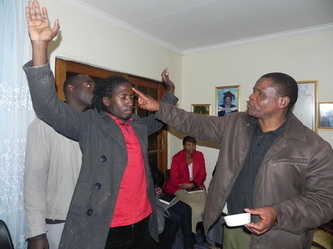 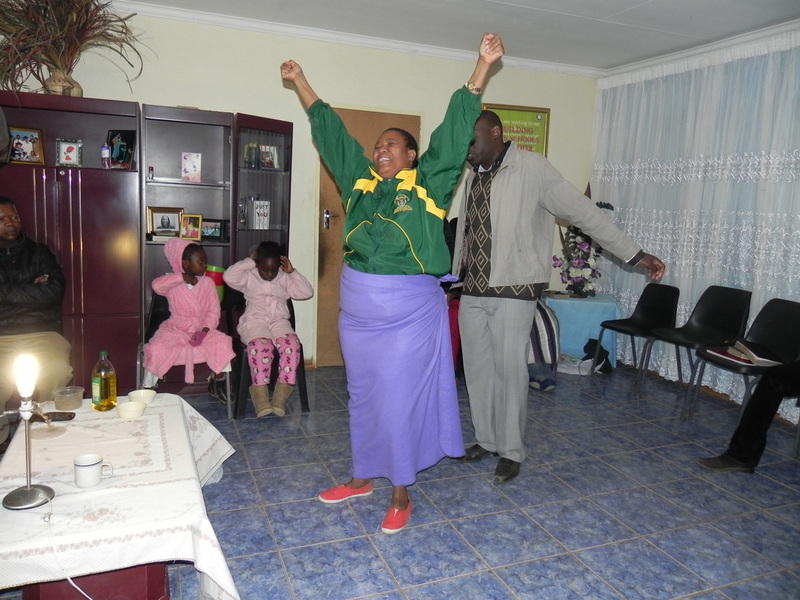 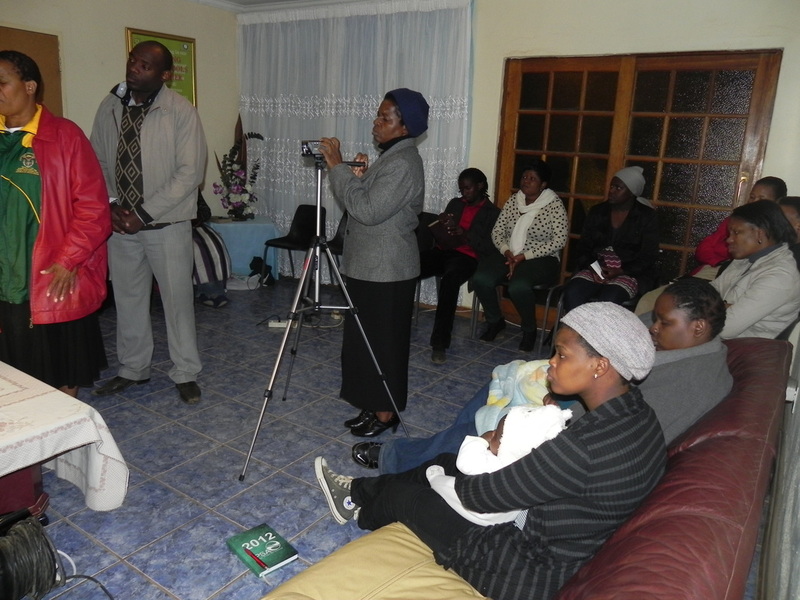 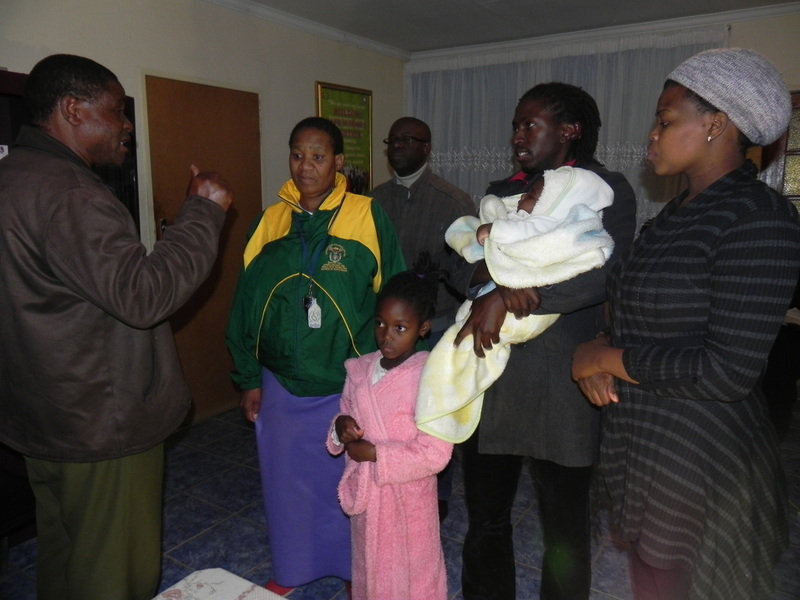 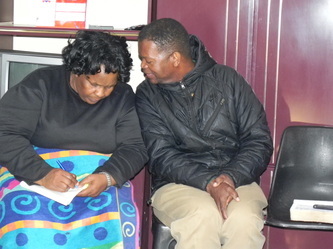 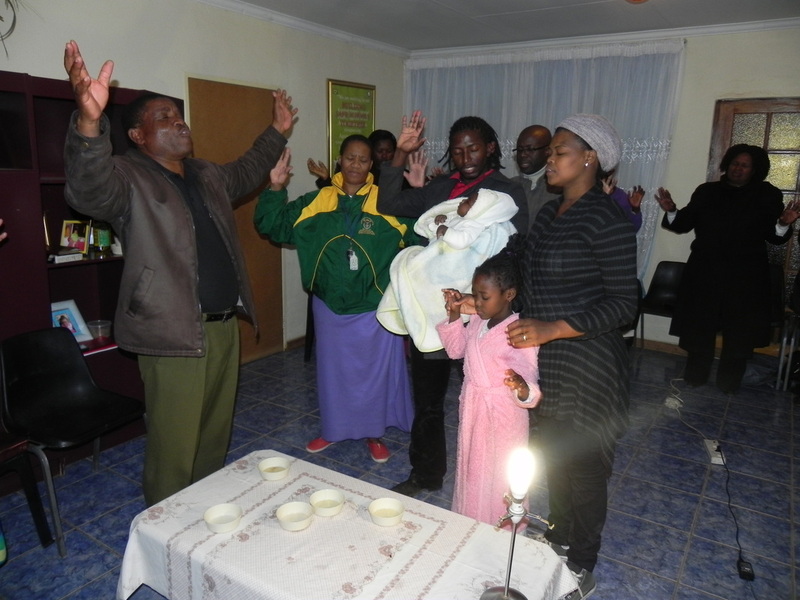 Rev Samuel Mametsa decreeing a prayer of blessing upon Lehlohonolo Mailula! 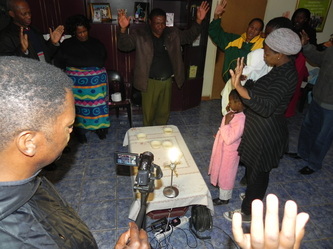 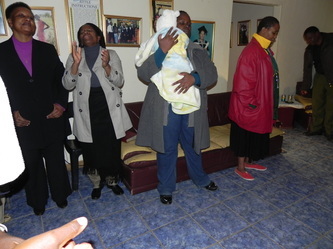 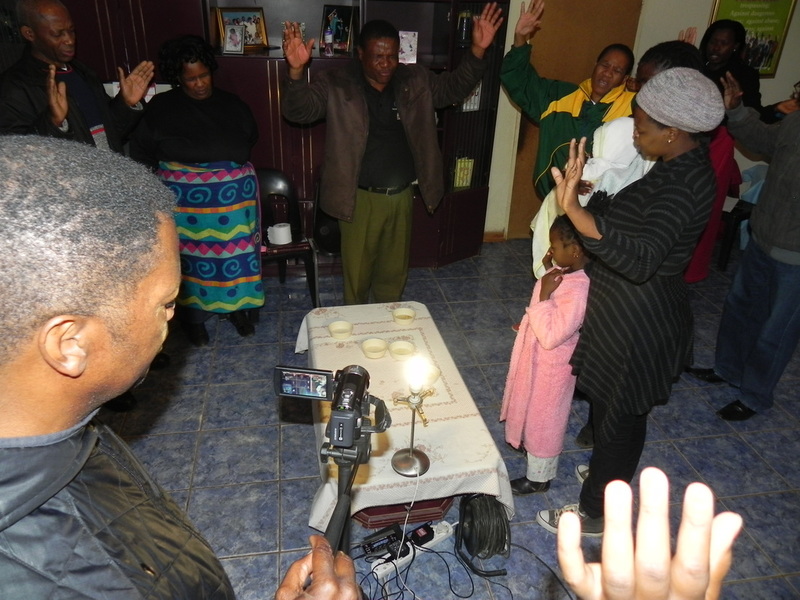 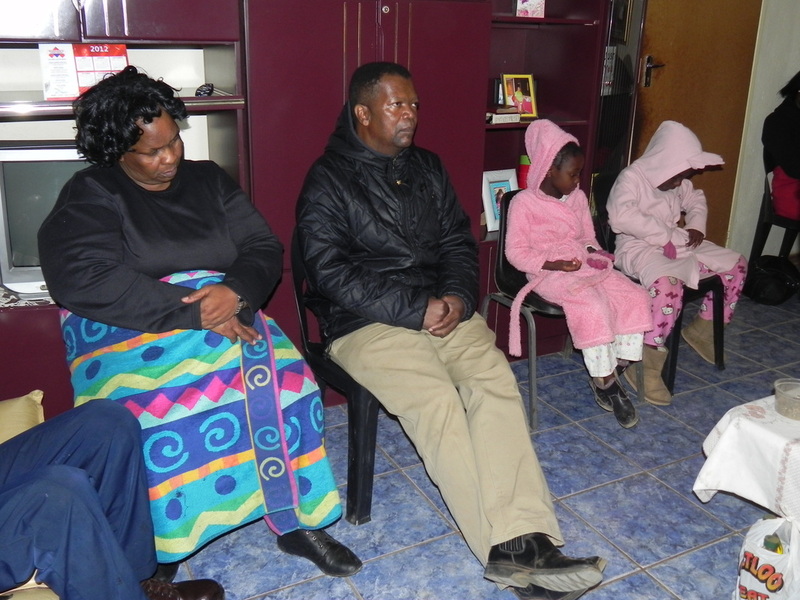 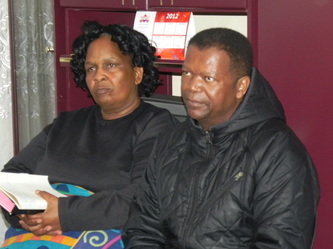 On this blessed and wonderful day that God has made: this family members were removed from Ancestral Worship Altars and their house was dedicated unto the Lord! 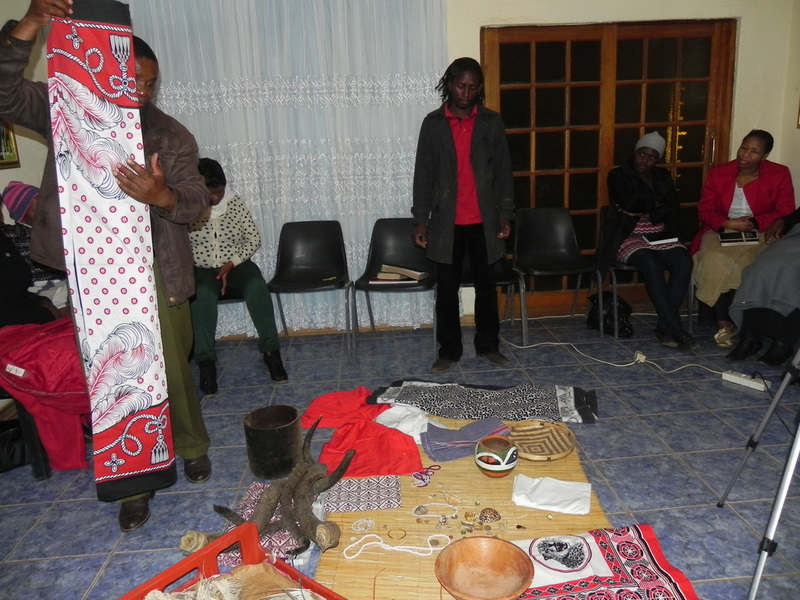 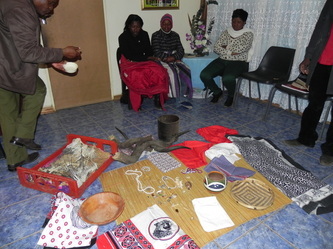 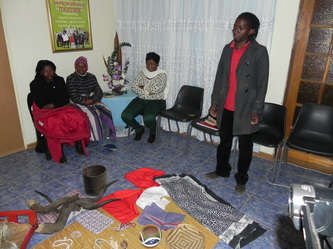 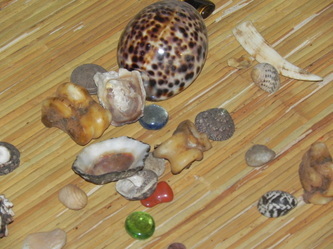 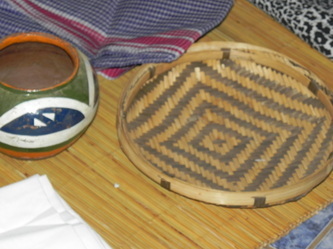 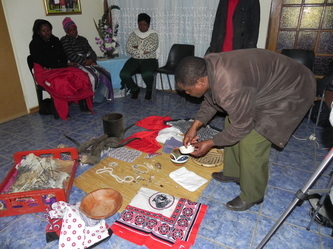 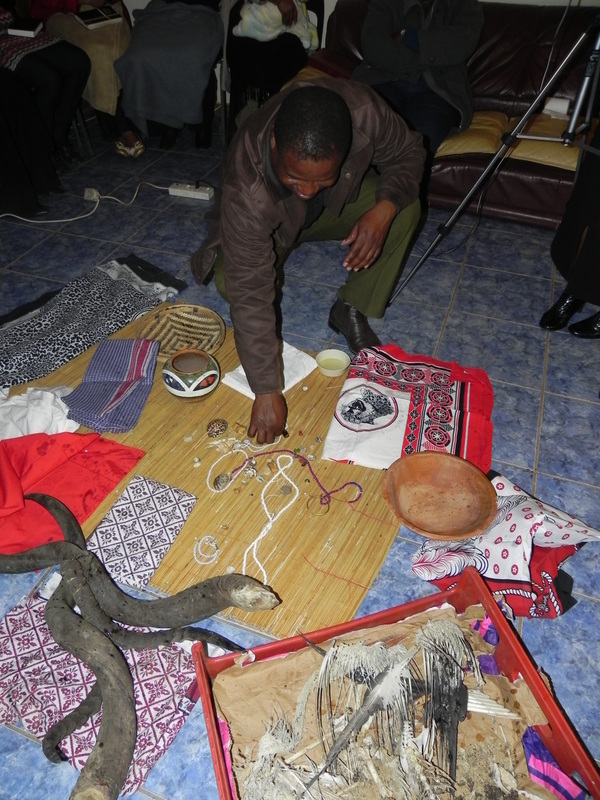 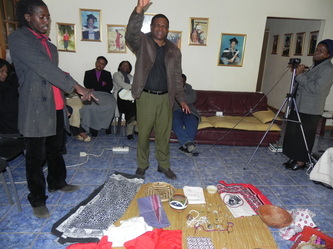 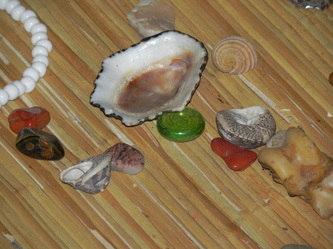 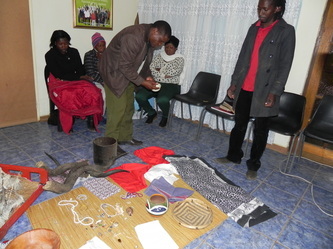 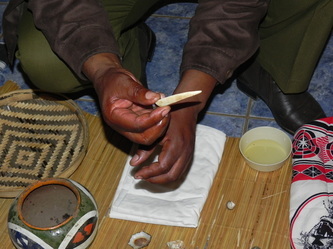 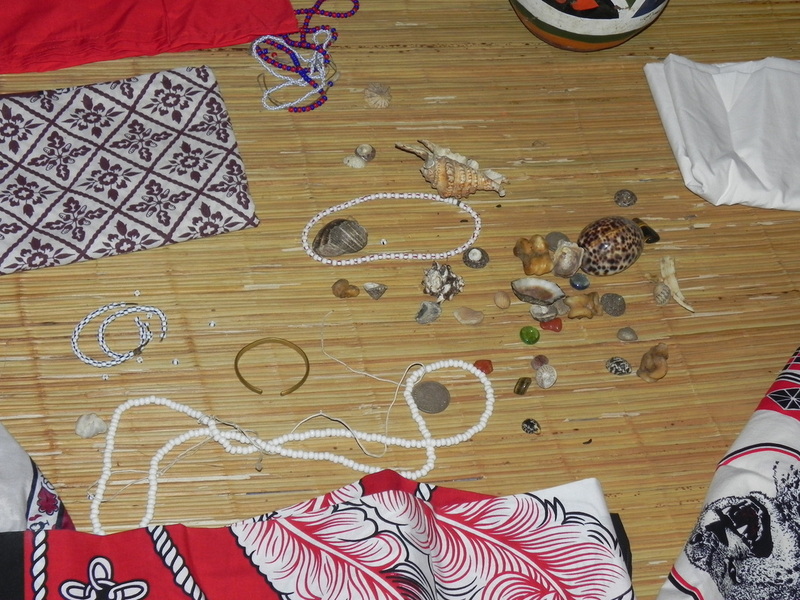 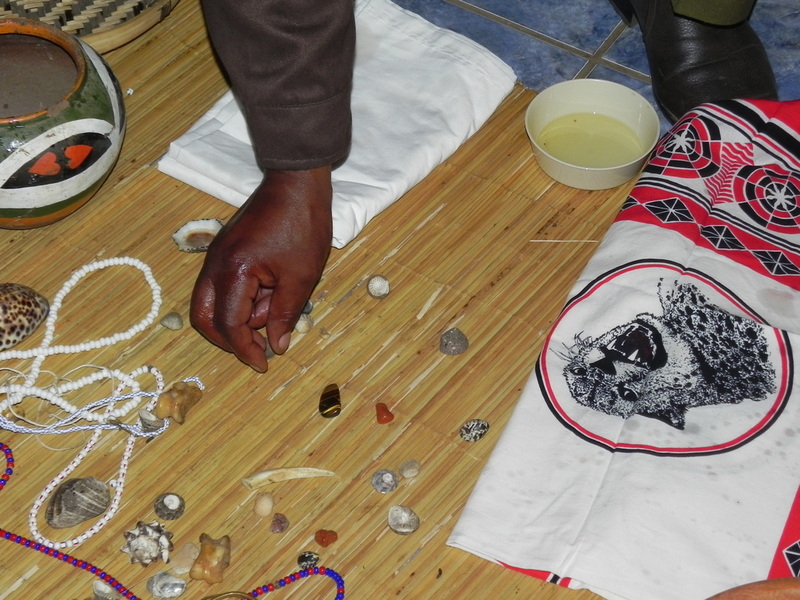 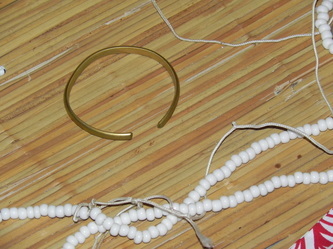 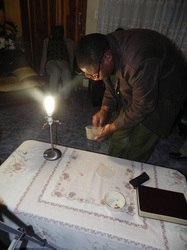 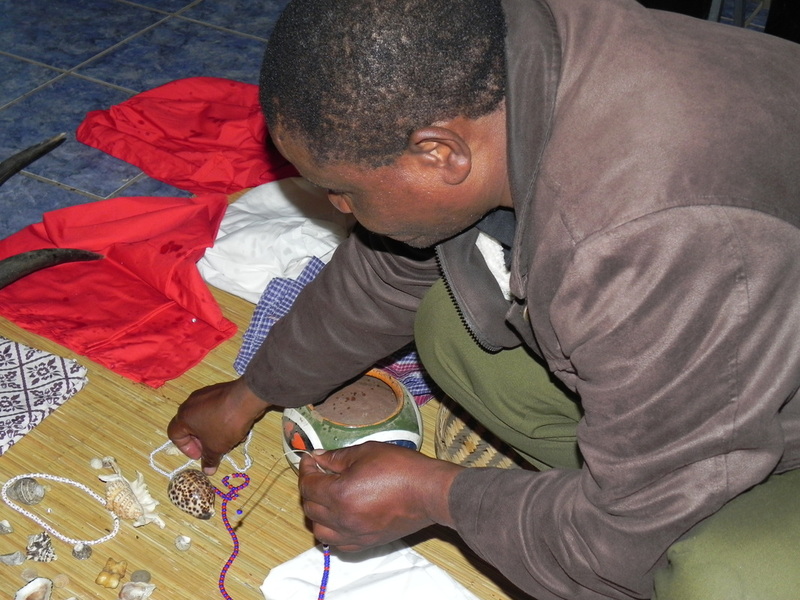 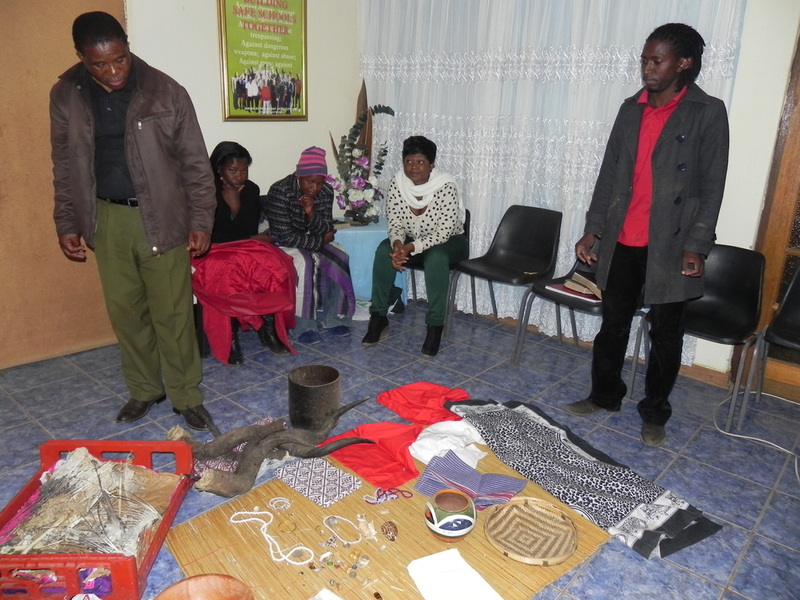 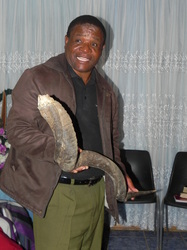 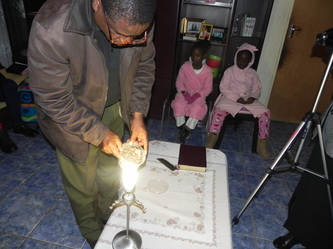 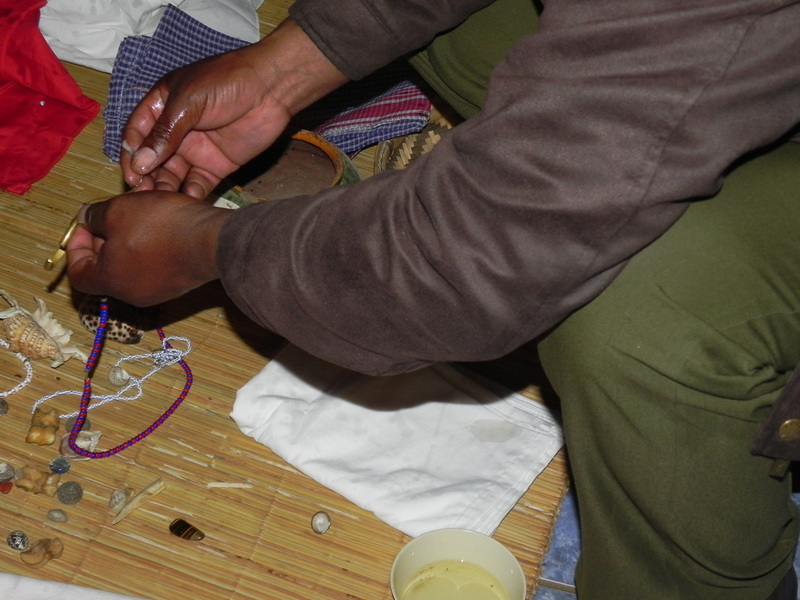 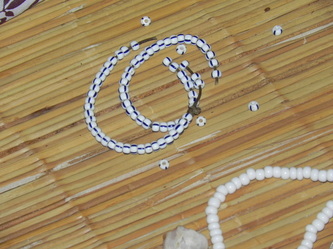 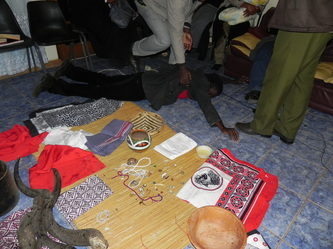 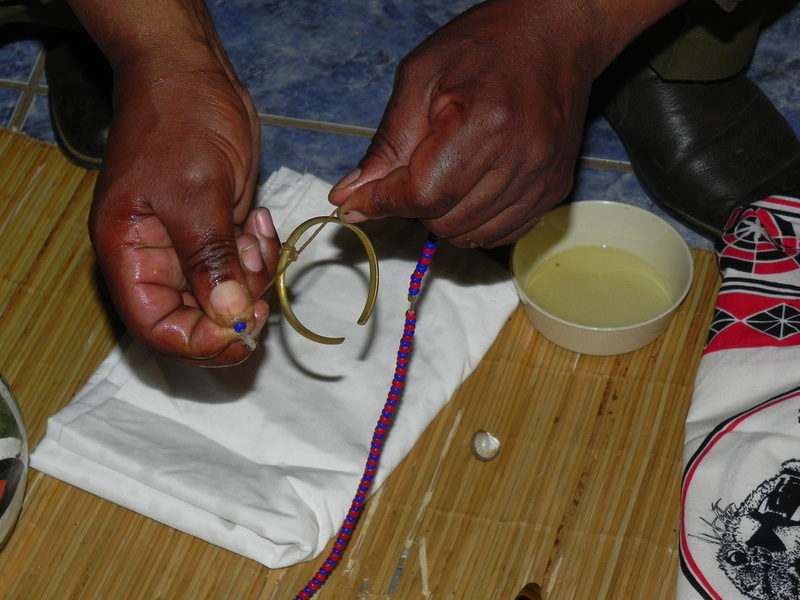 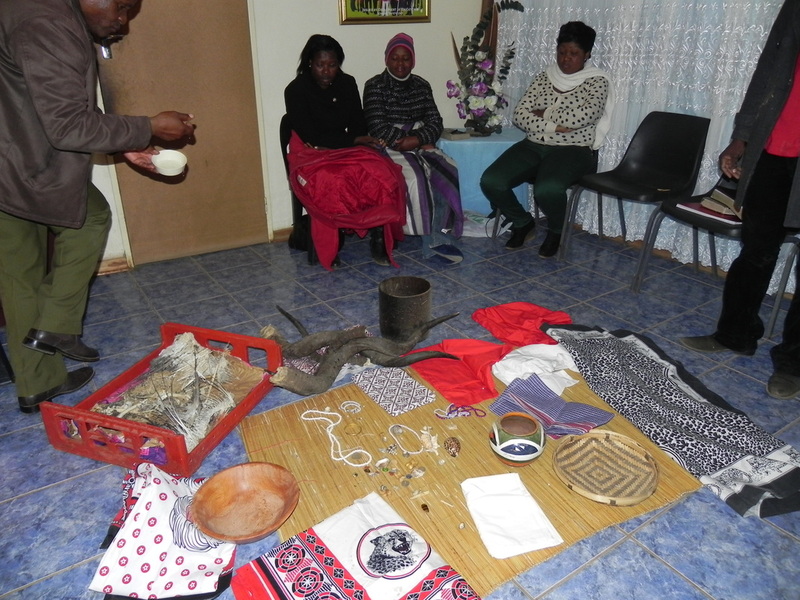 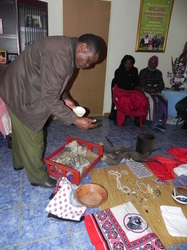 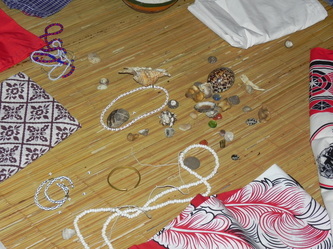 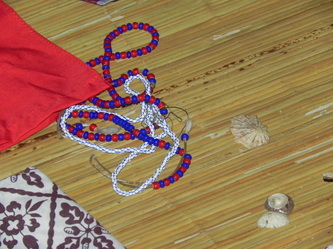 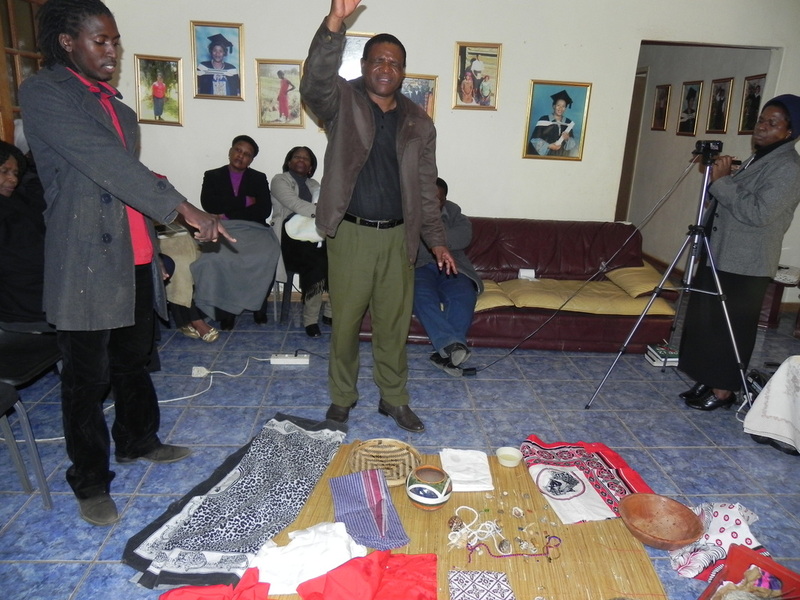 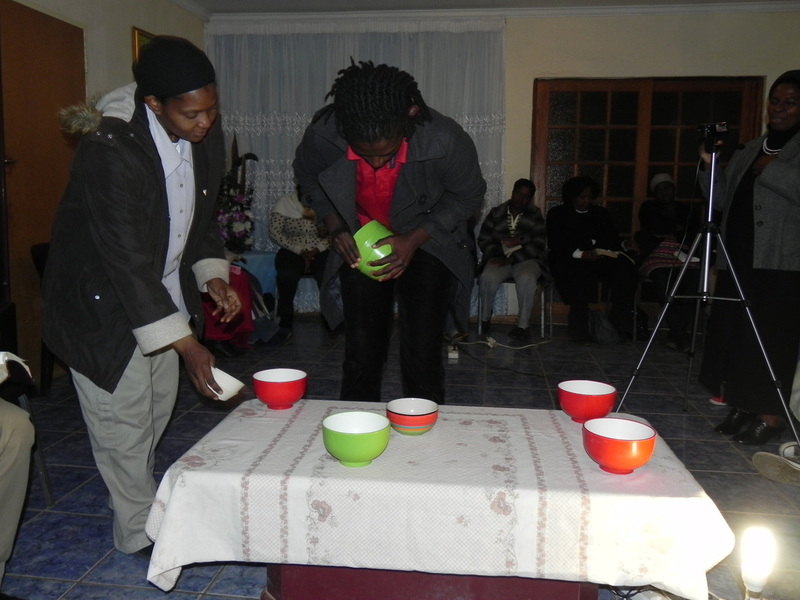 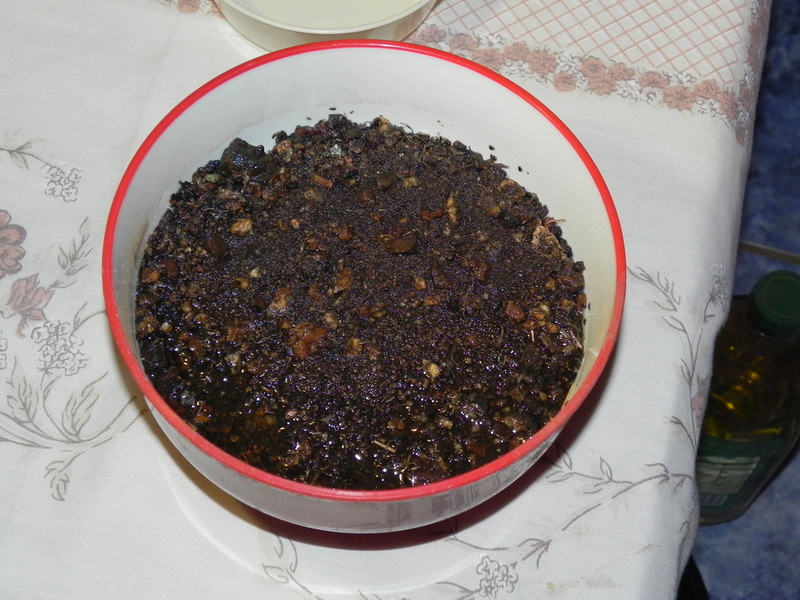 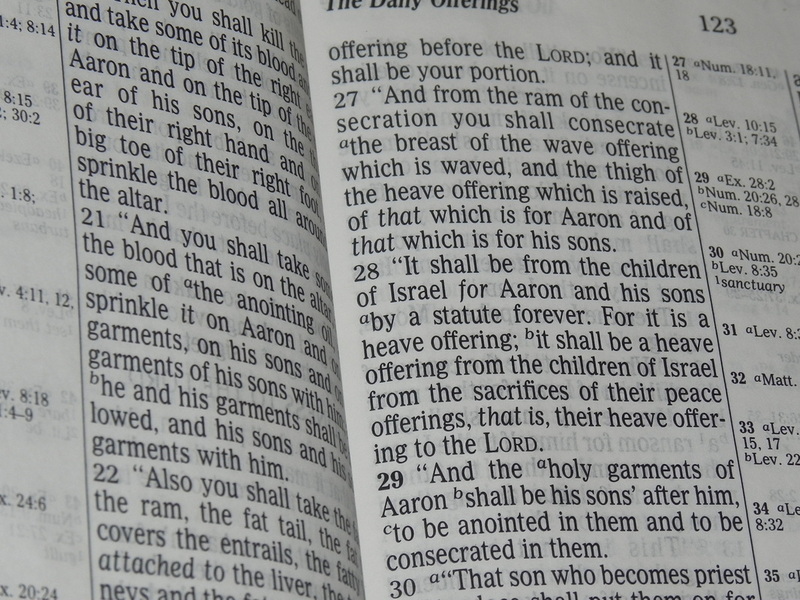 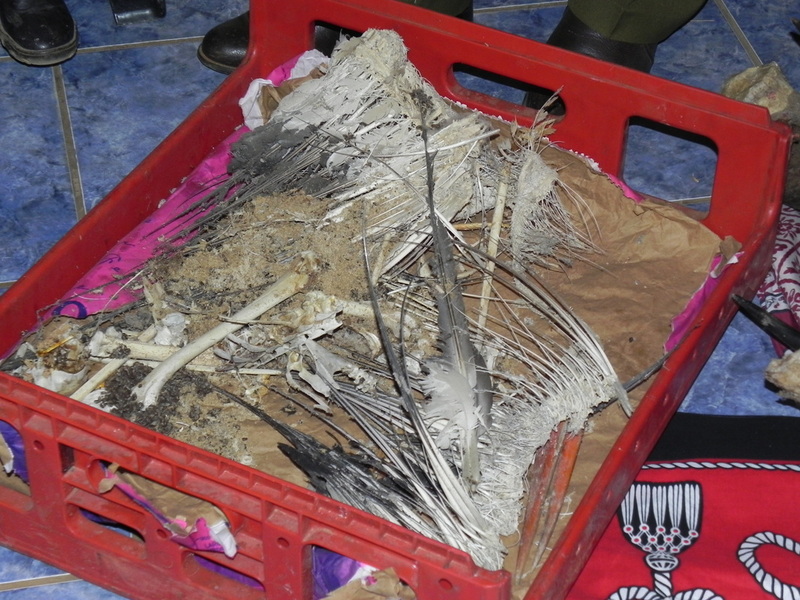 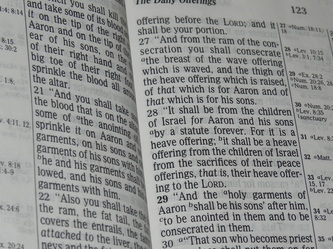 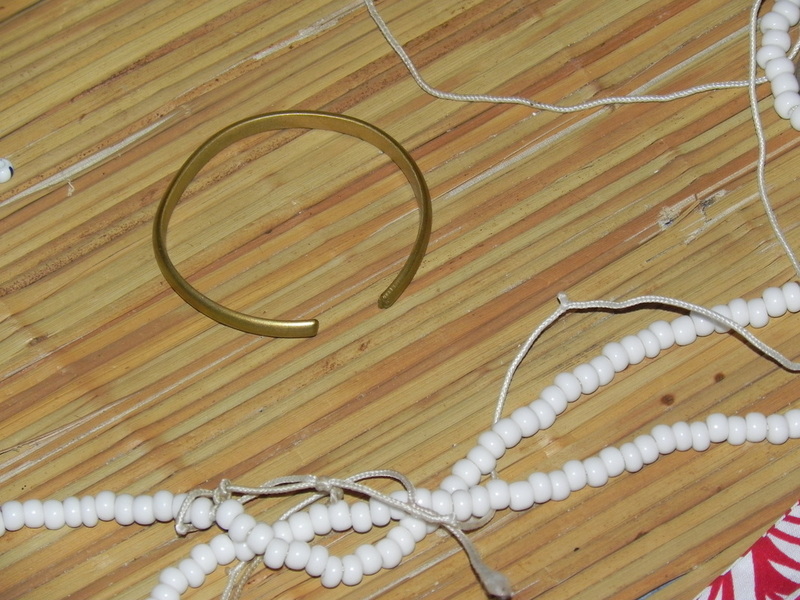 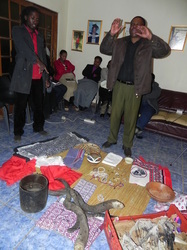 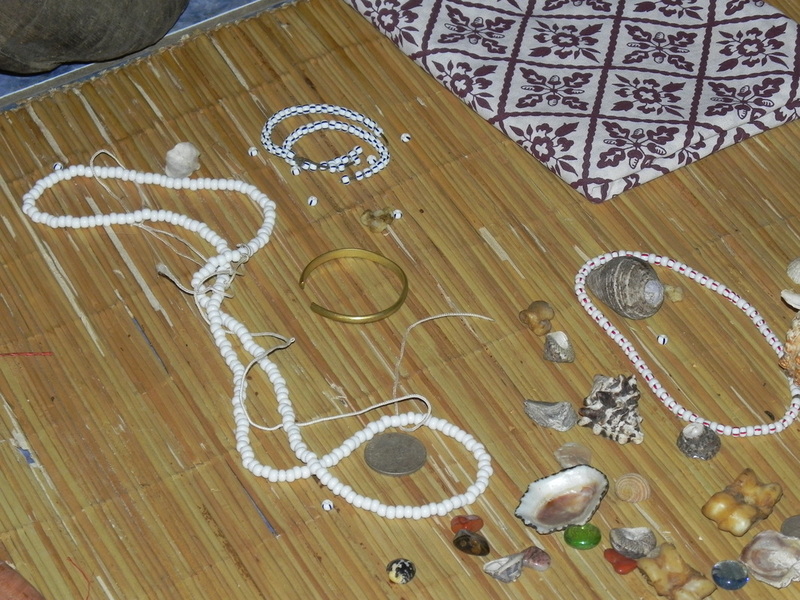 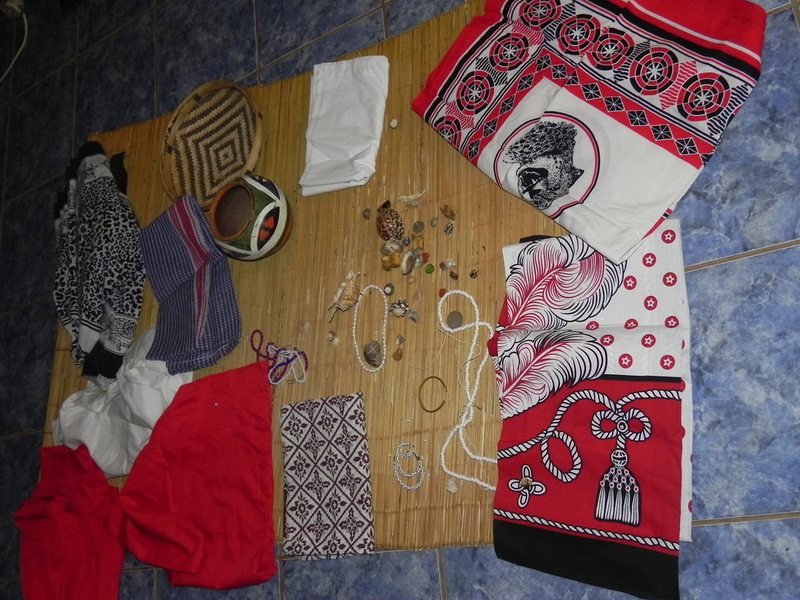 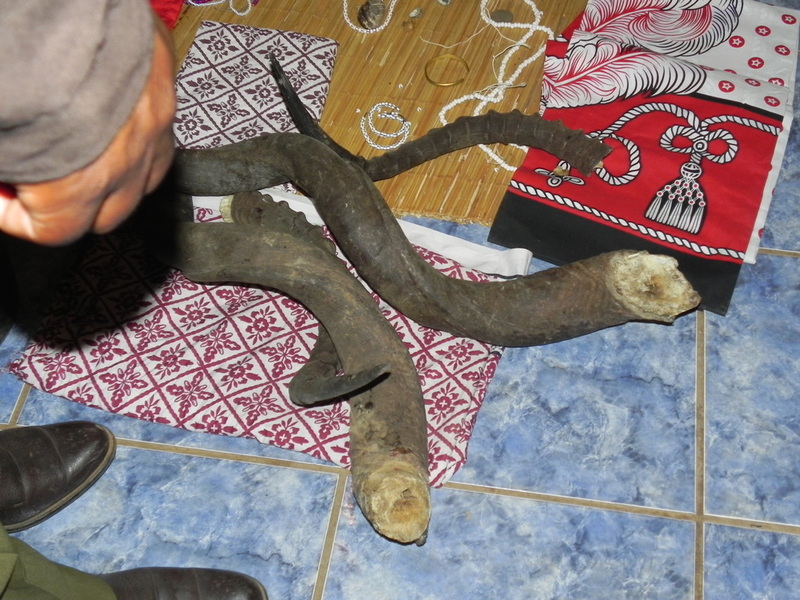 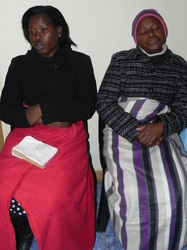 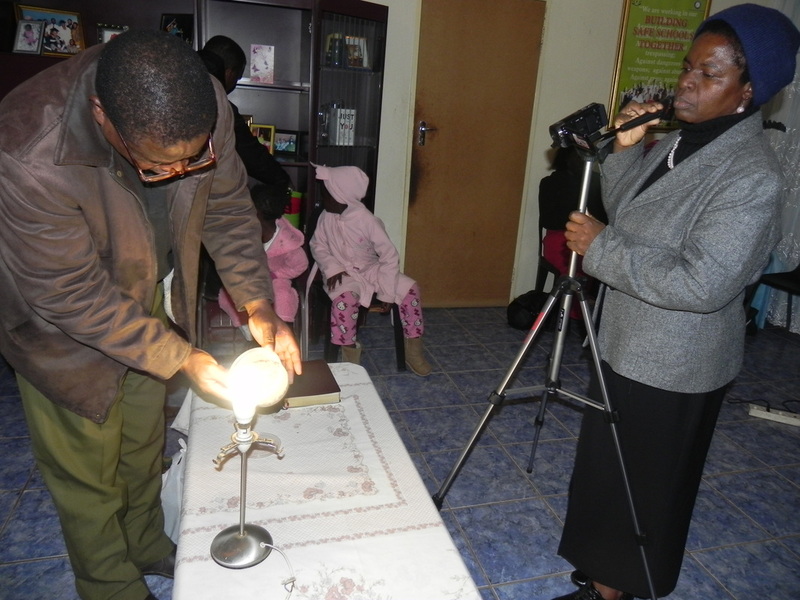 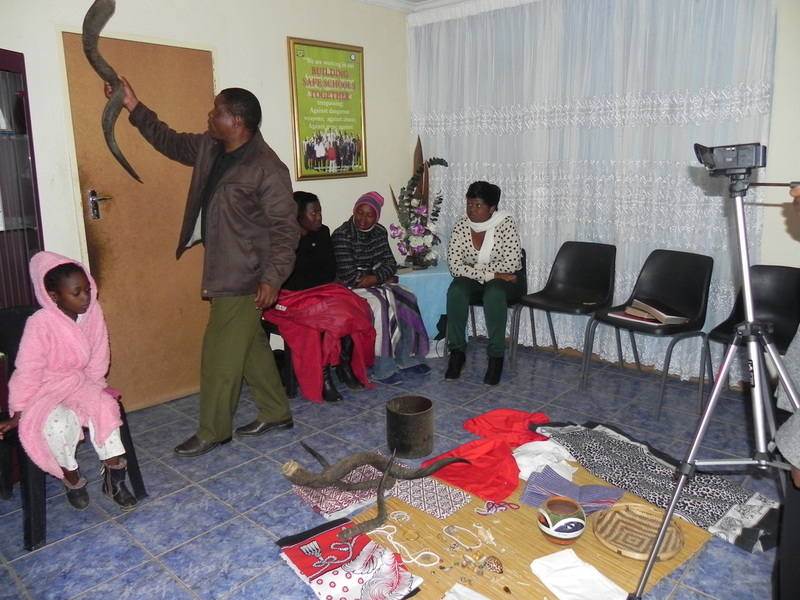 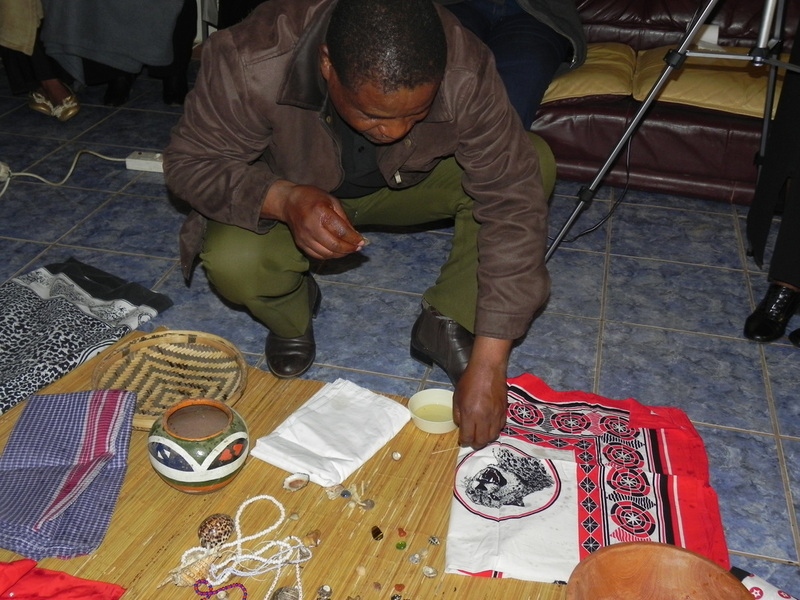 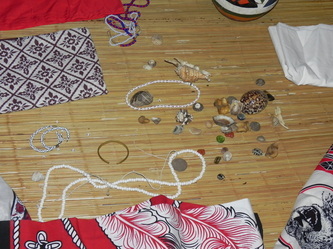 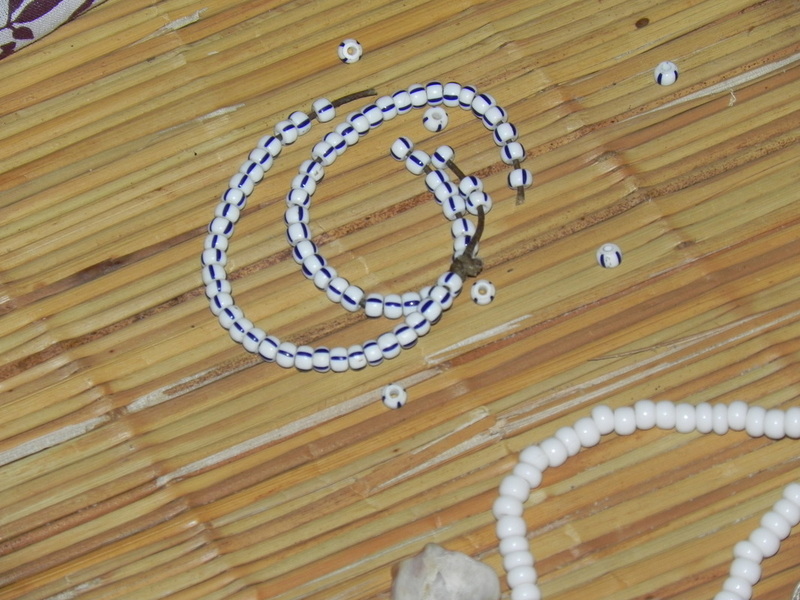 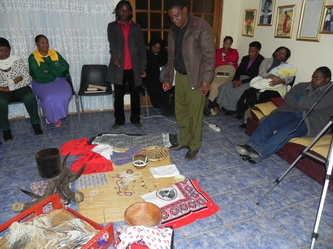 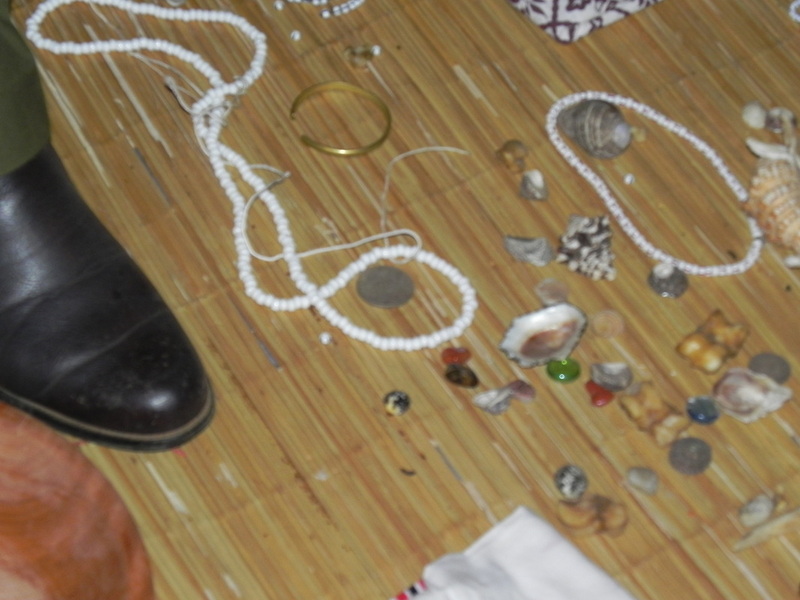 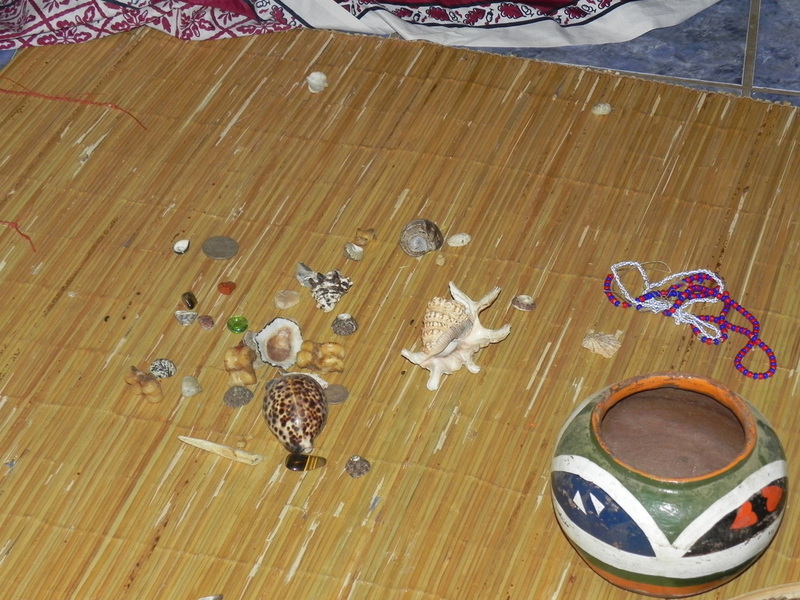 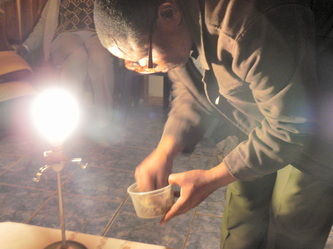 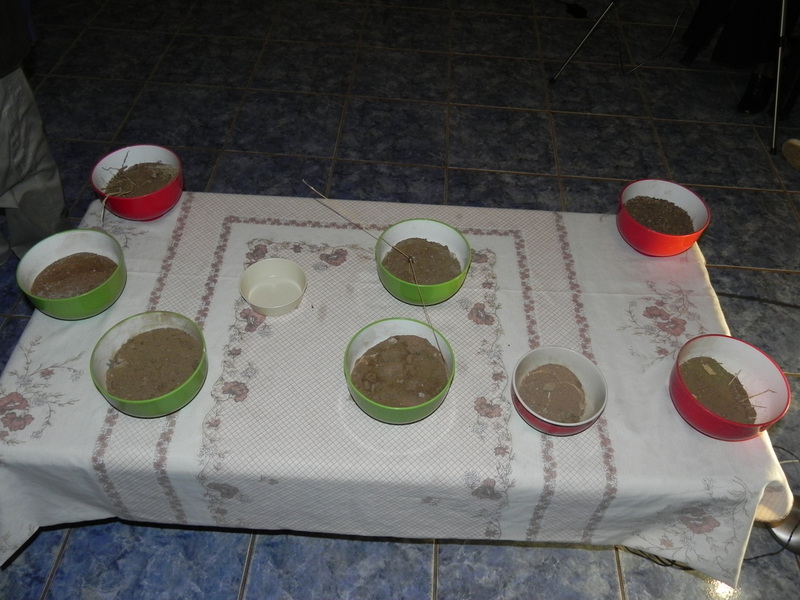 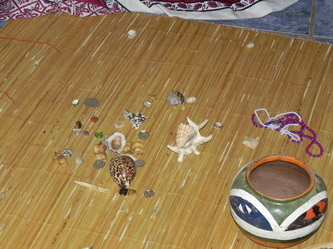 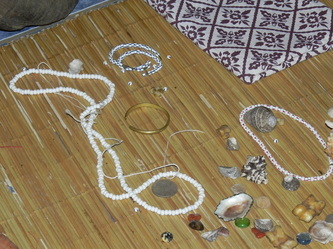 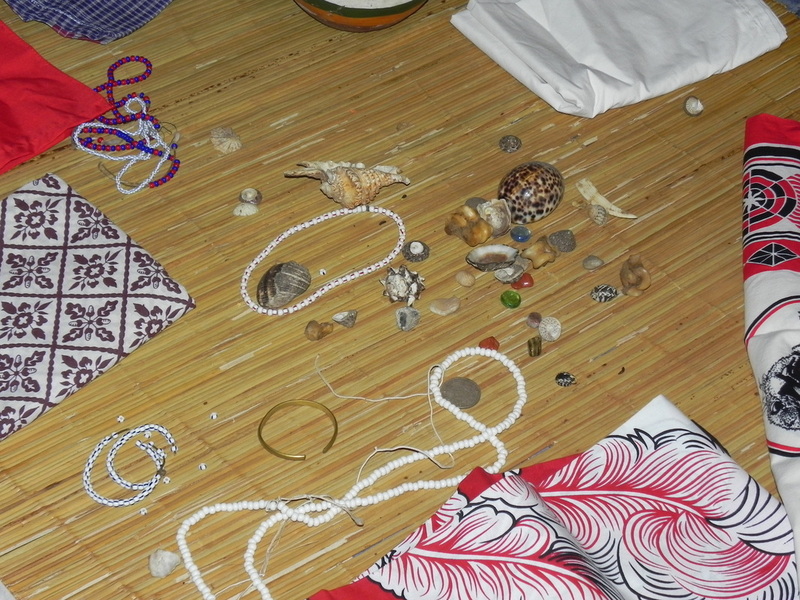 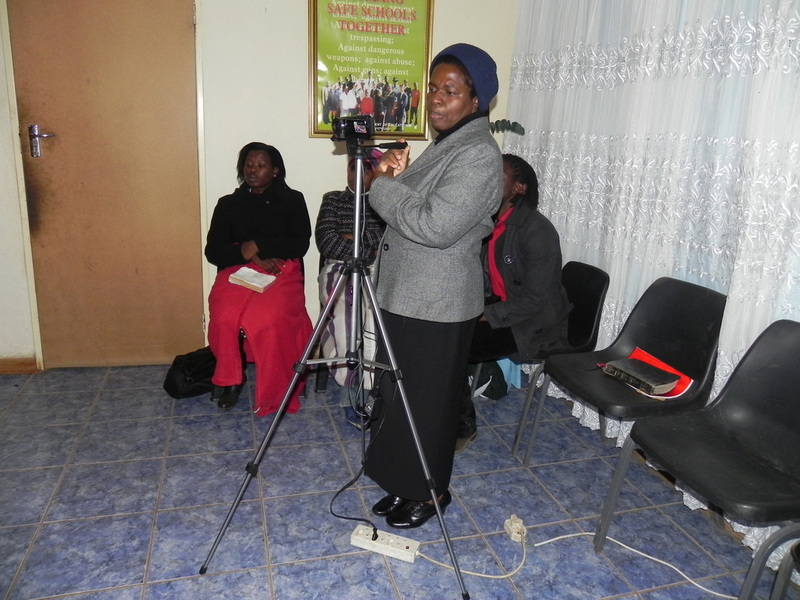 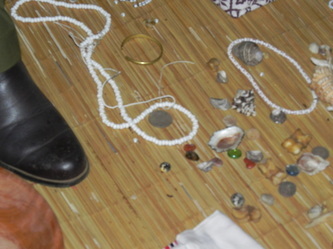 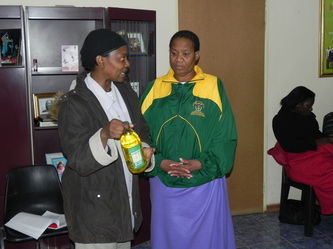 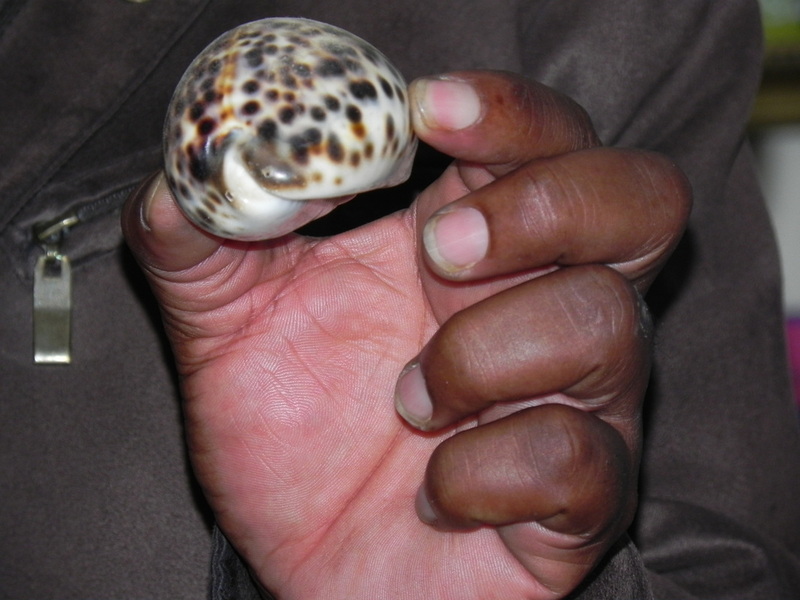 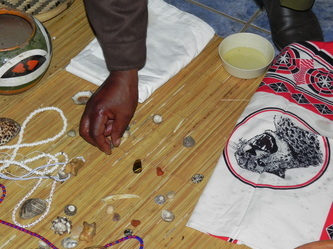 The items that were being used in the ancestral worship have to be brought out in the open and be renounced before witnesses so that the devil will know and understand that this person no loger wants to serve the devil and the person must confess with their own mouth that they have chosen Jesus Christ as their Lord and Saviour and that from that moment on they want to serve the Living God and Him alone. 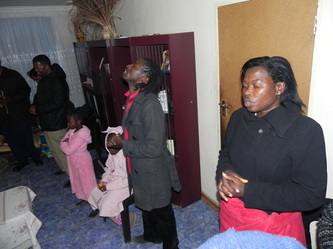 That they have chosen the Living God as their GOD for all itentions and purposes! 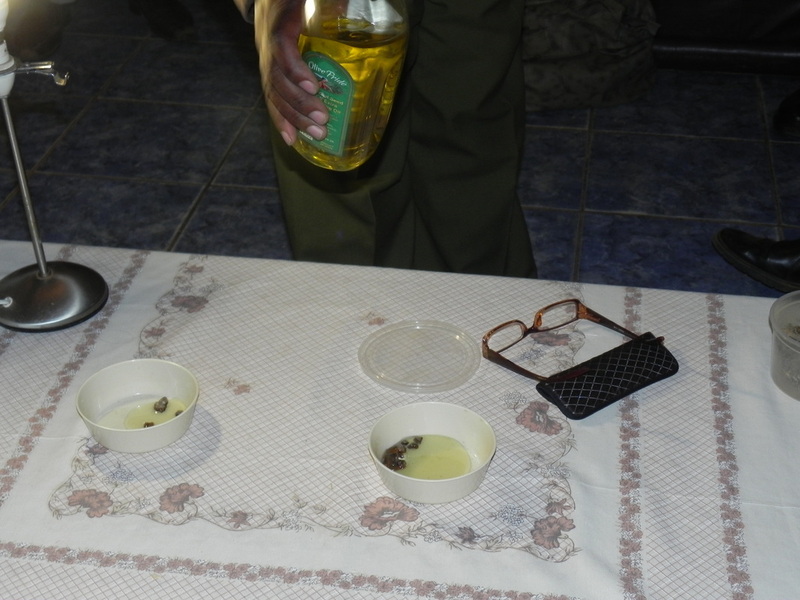 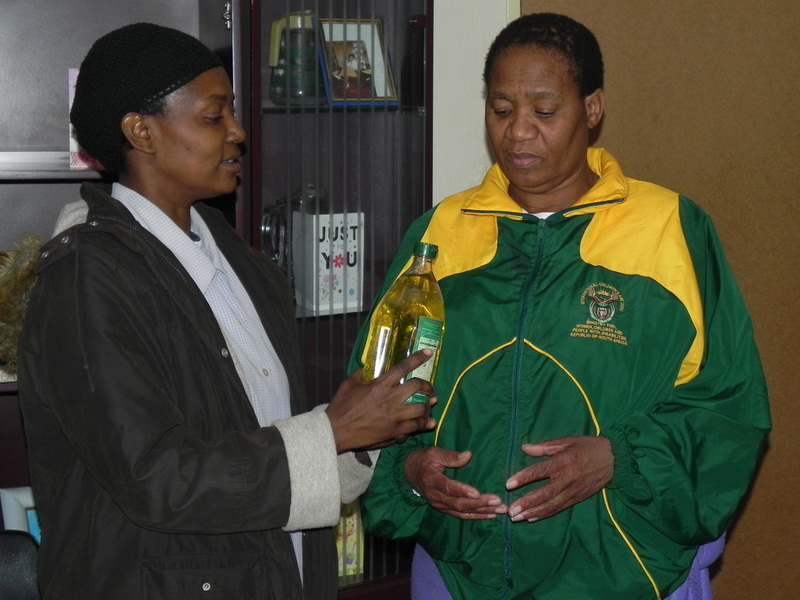 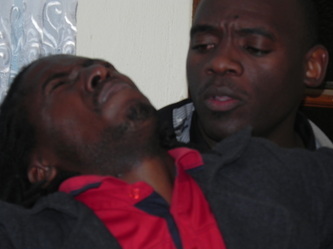 After the renunciation of these items, the pastor annointed then with annointing oil to deactivate the evil resident in them and to sever the spiritual link between them and the young man. 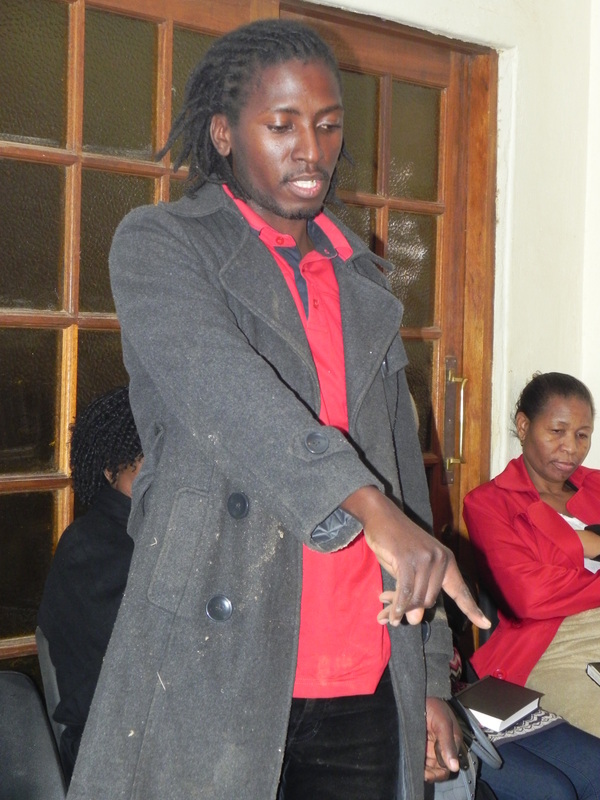 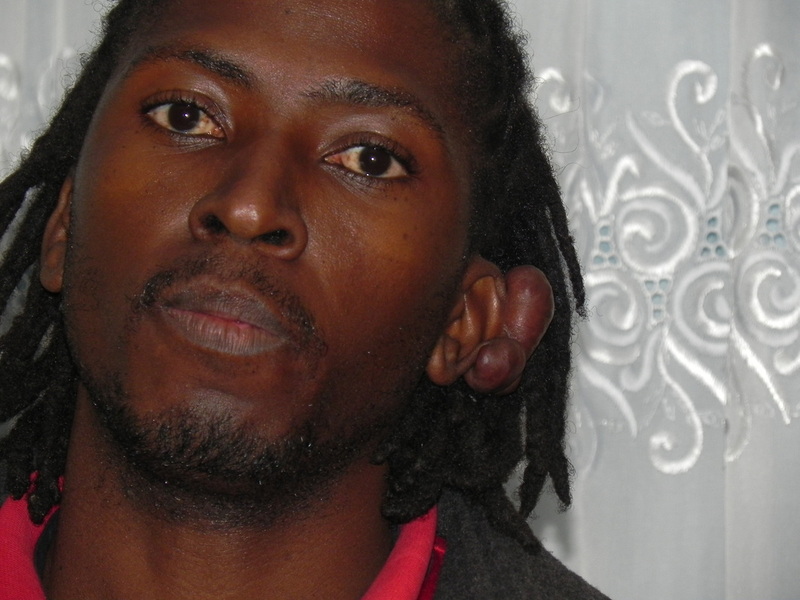 The young man was prayed for. 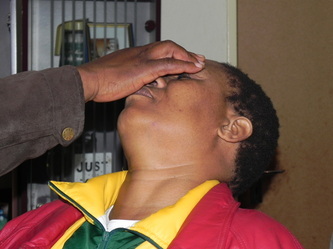 IT IS POSSIBLE TO BE FREED FROM THE CLUTCHES OF THE EVIL ONE. WHAT IS CRUCIAL IS TO DO IN THE PROPER MANNNER AFTER PROPER AND THOROUGH CONSULTATION WITH GOD TO RECEIVE CLEAR INSTRUCTIONS ON THE PATTERN TO BE FOLLOWED TO RELEASE THOSE WHO HAVE BEEN ENSNARED BY THE DEVIL. 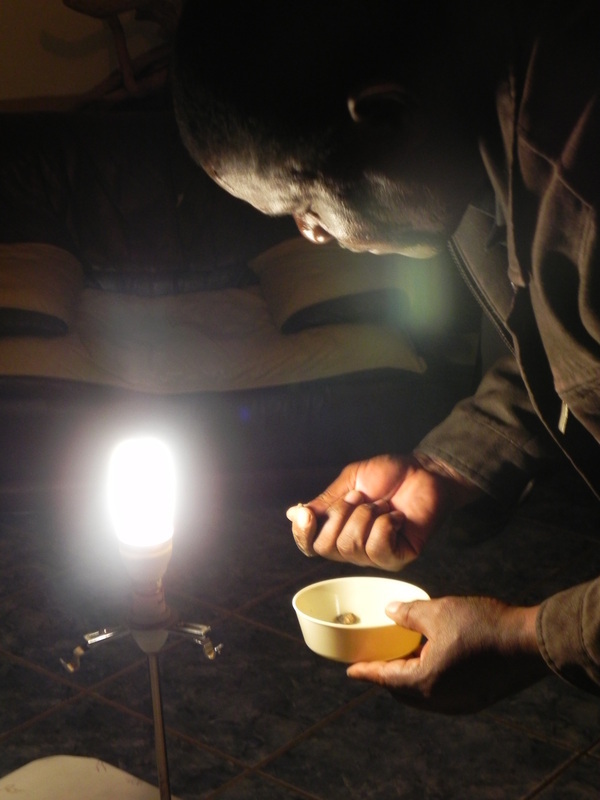 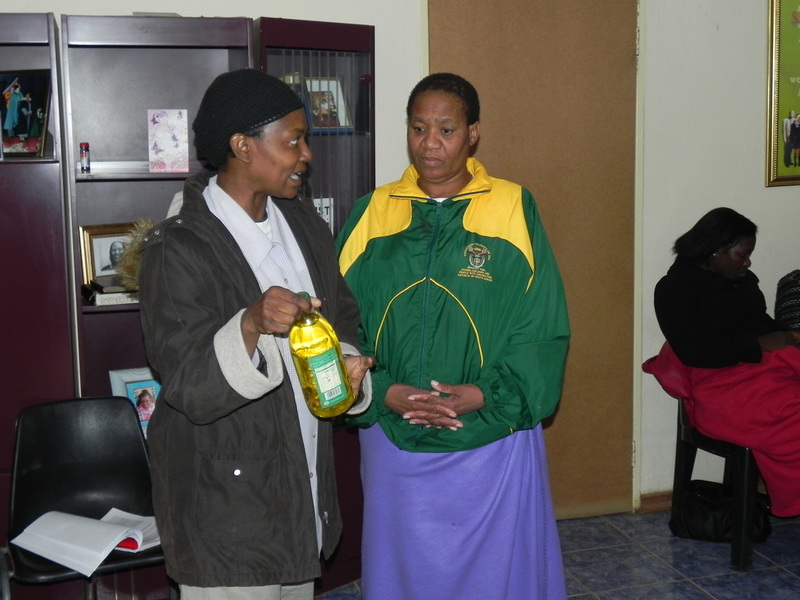 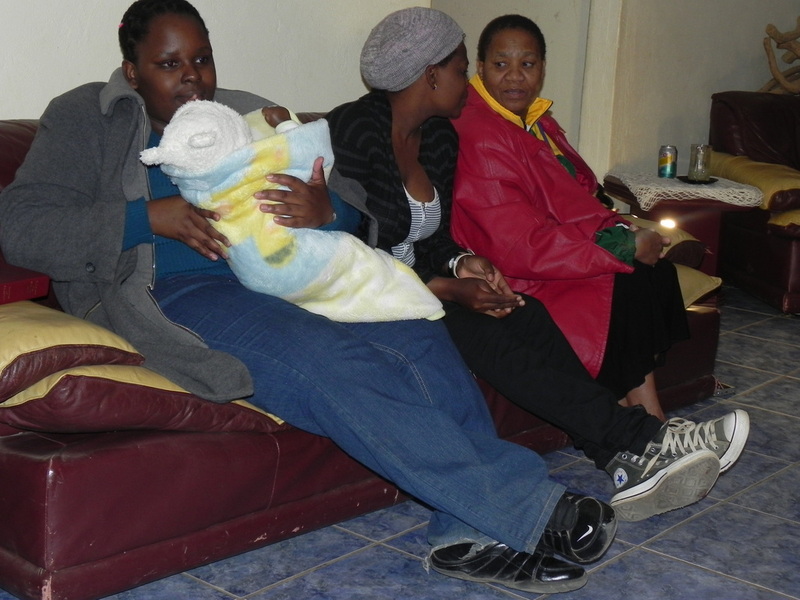 IT IS CRUCIAL TO BE HELPED BY A SERVANT OF GOD GIFTED TO DO THIS PROPERLY OTHERWISE LIVES ARE PUT IN DANGER. 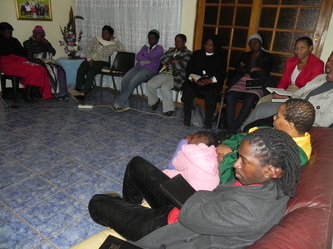 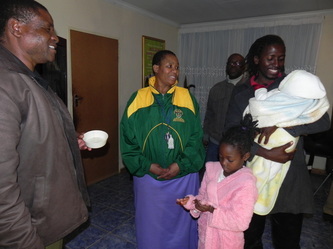 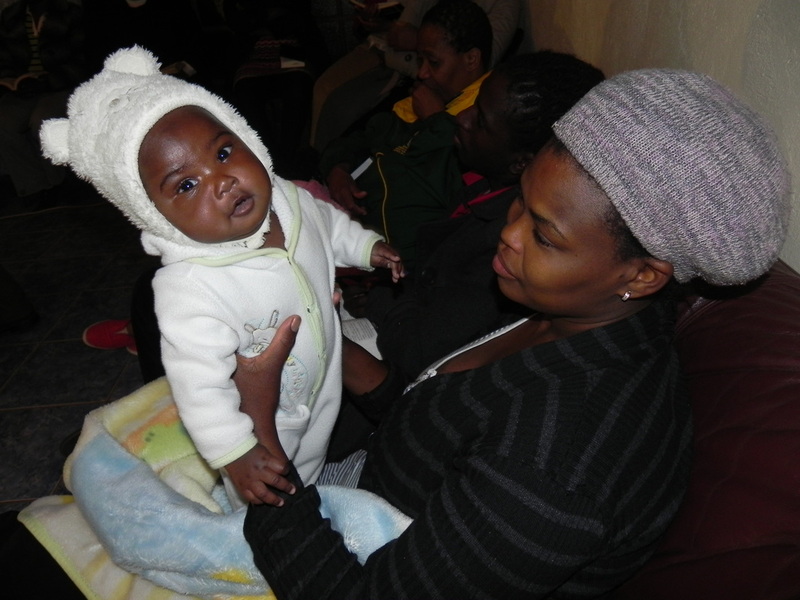 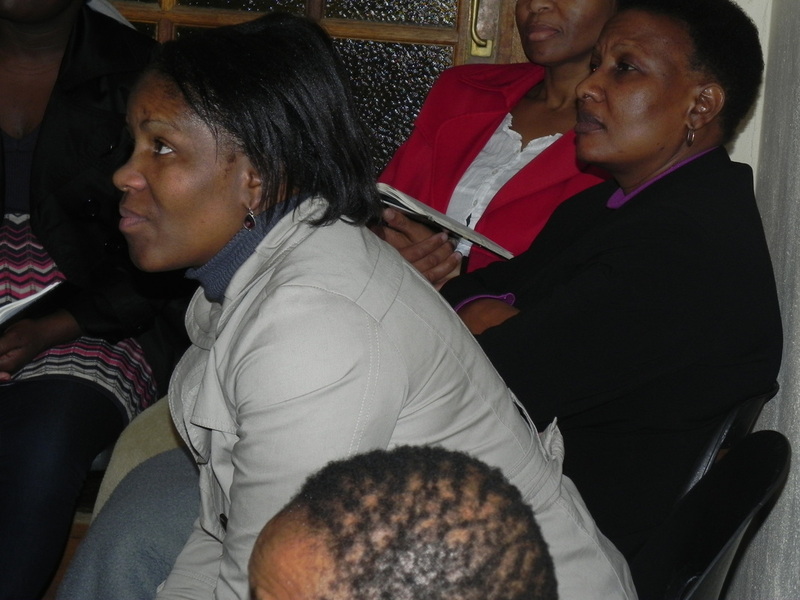 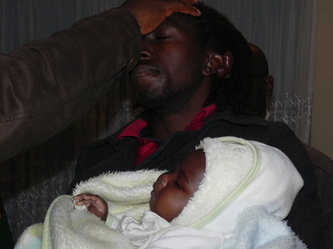 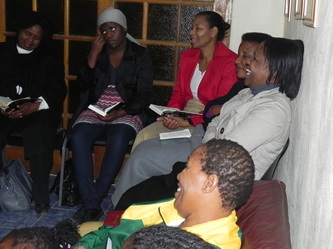 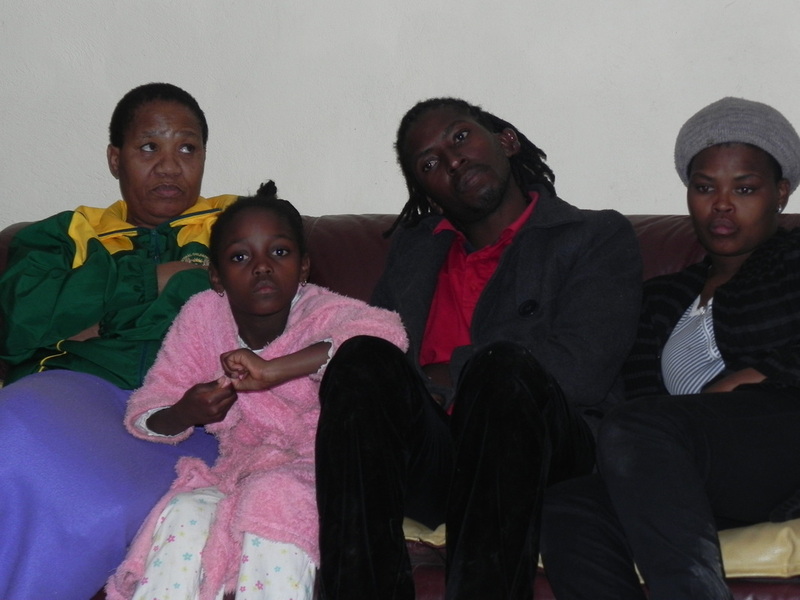 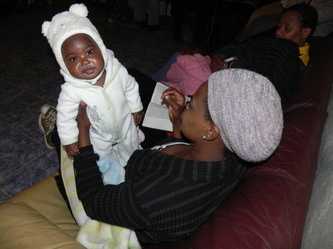 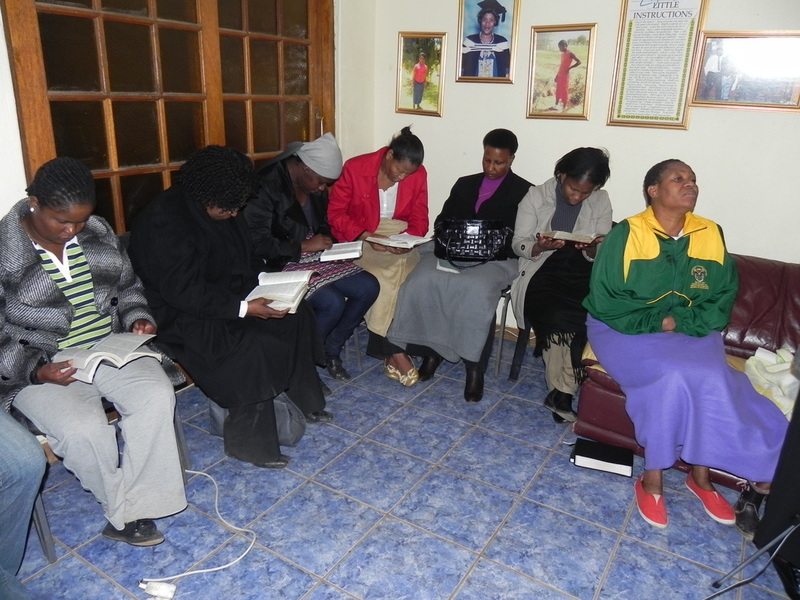 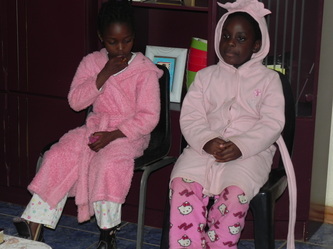 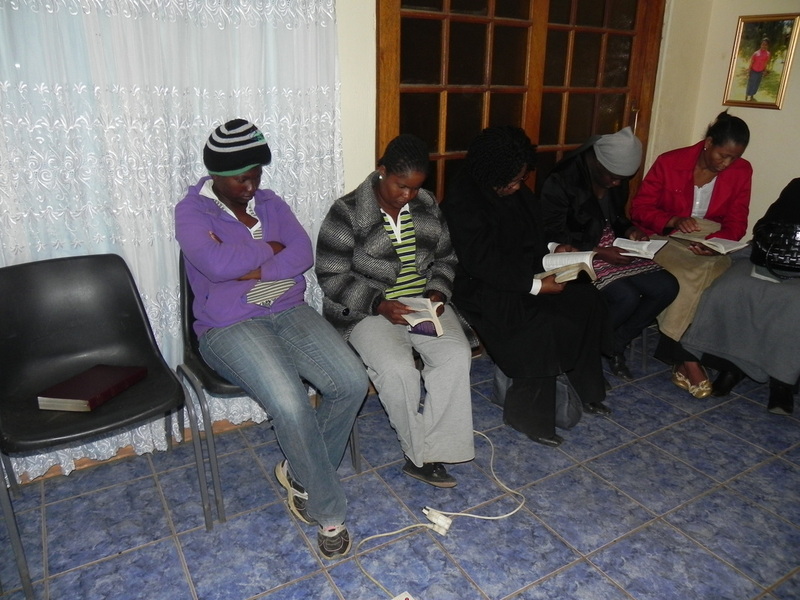 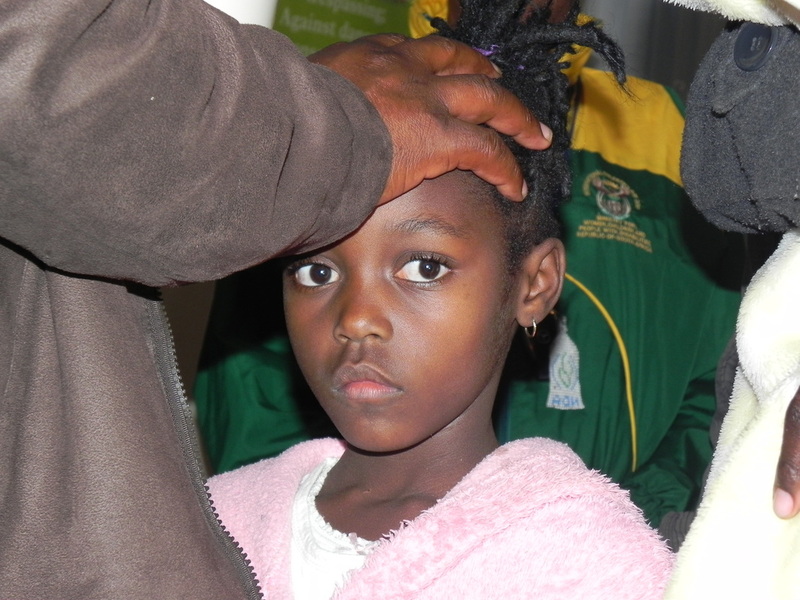 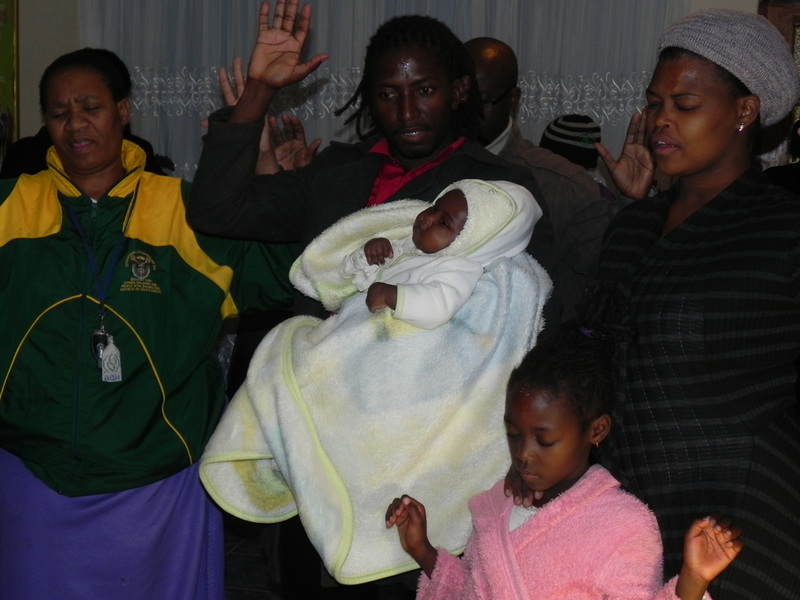 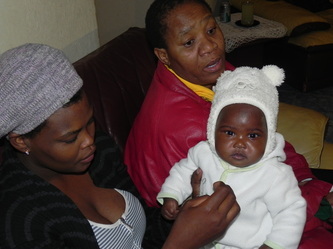 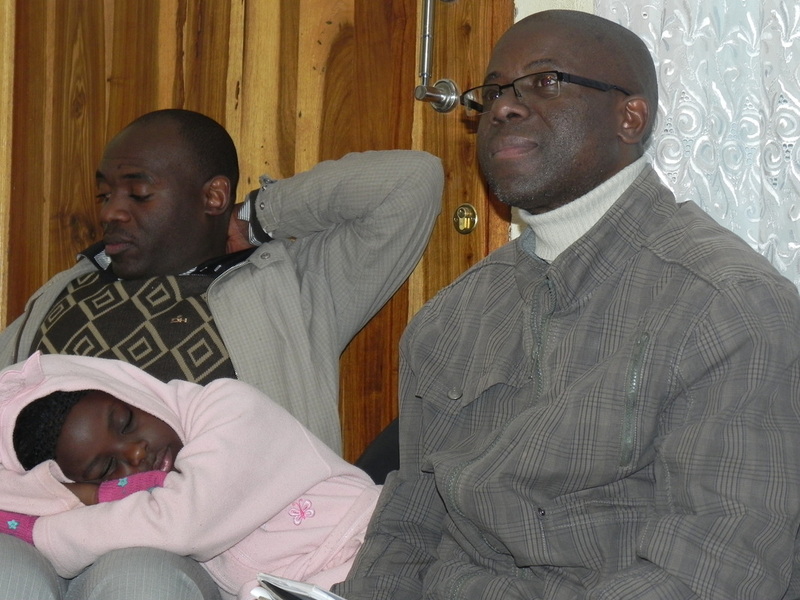 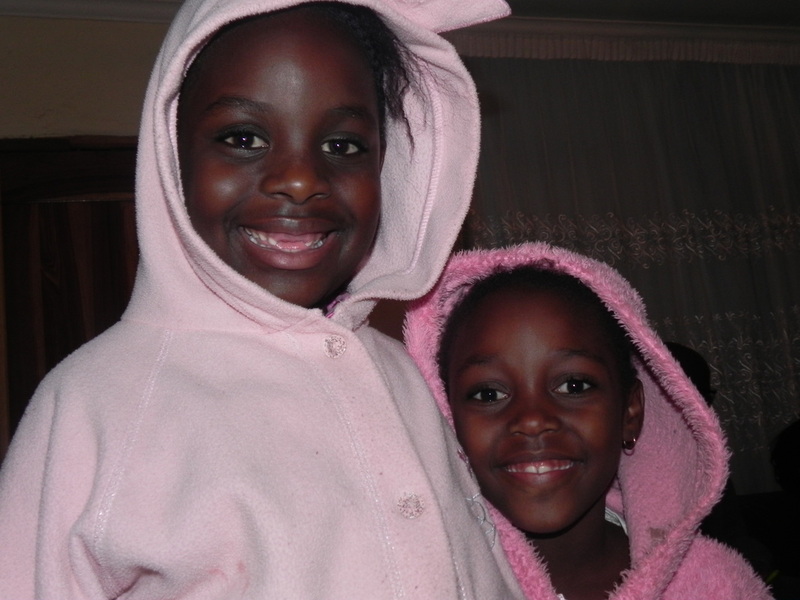 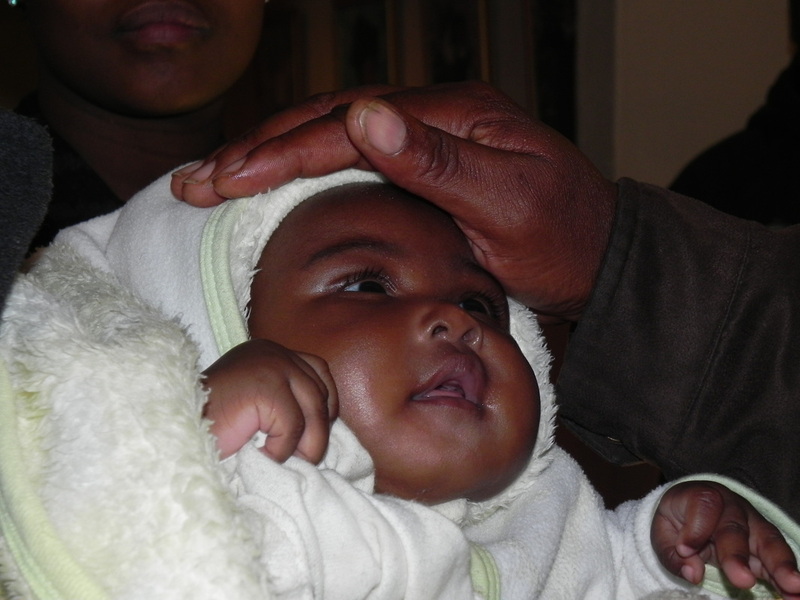 What a day in heaven, when the children of God are being restored to their Creator and Father.